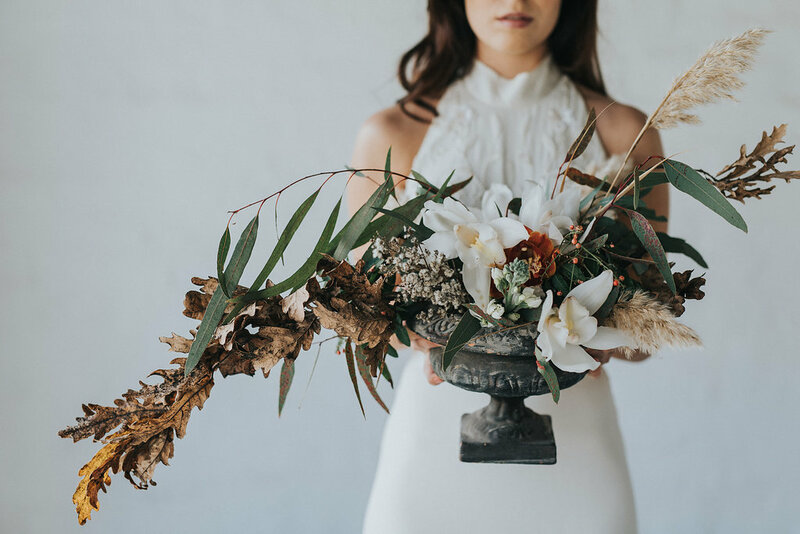 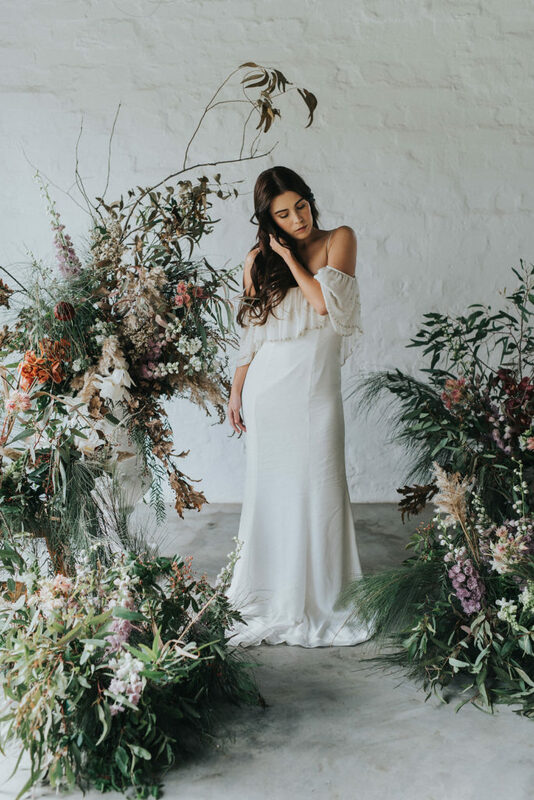 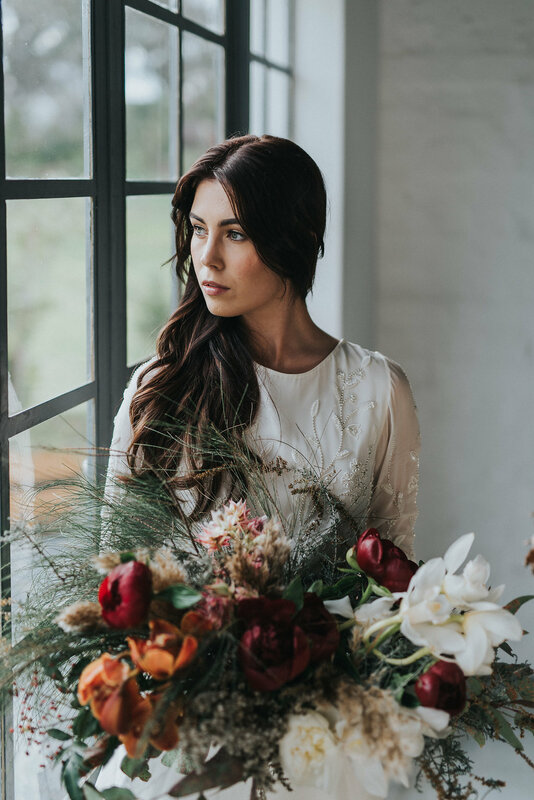 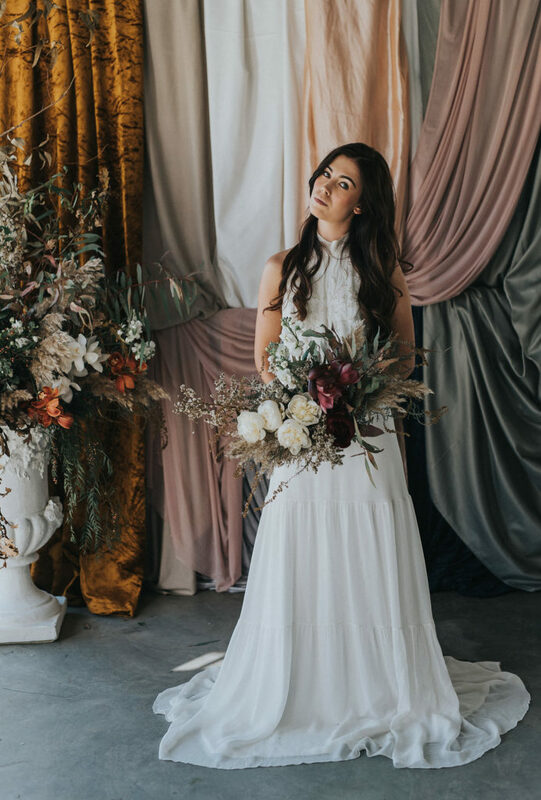 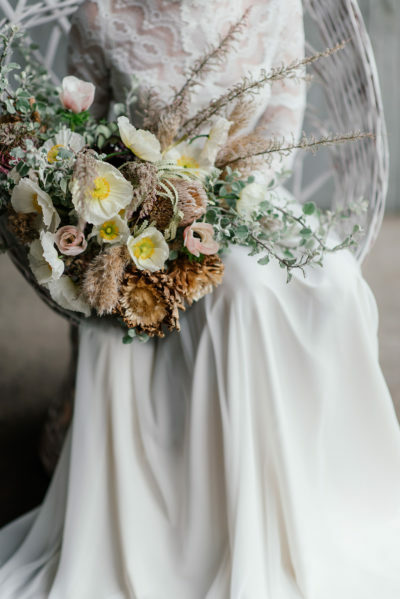 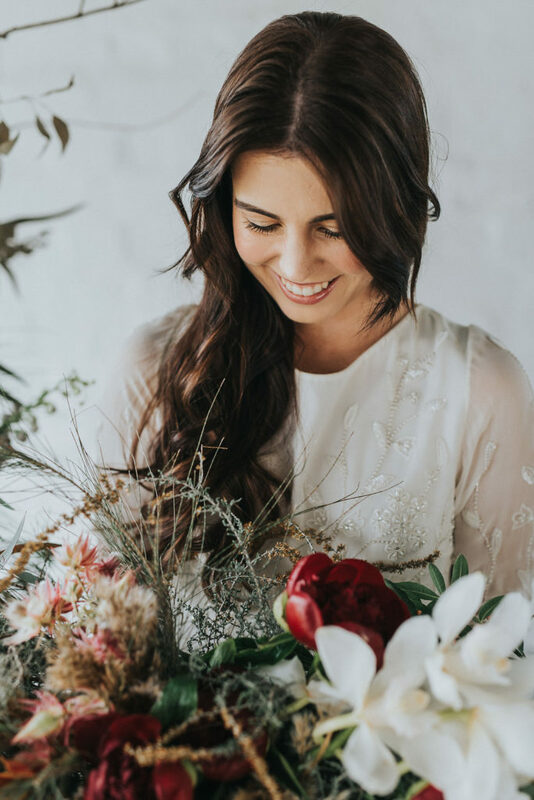 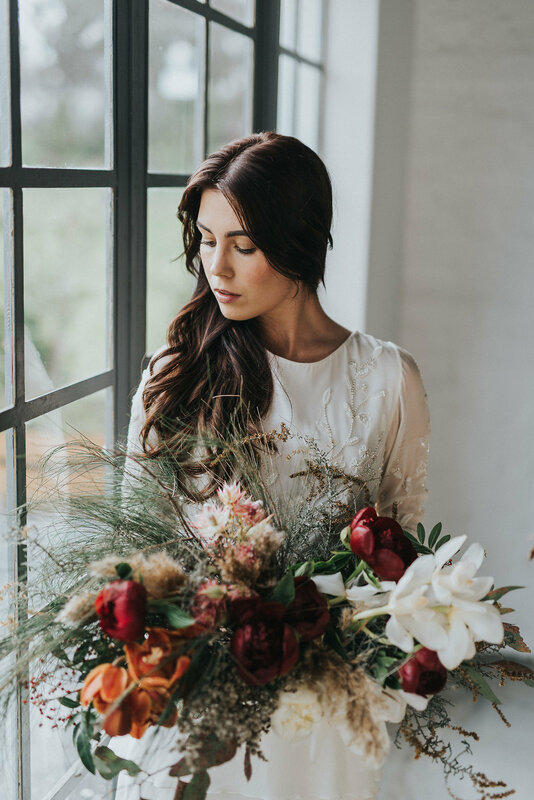 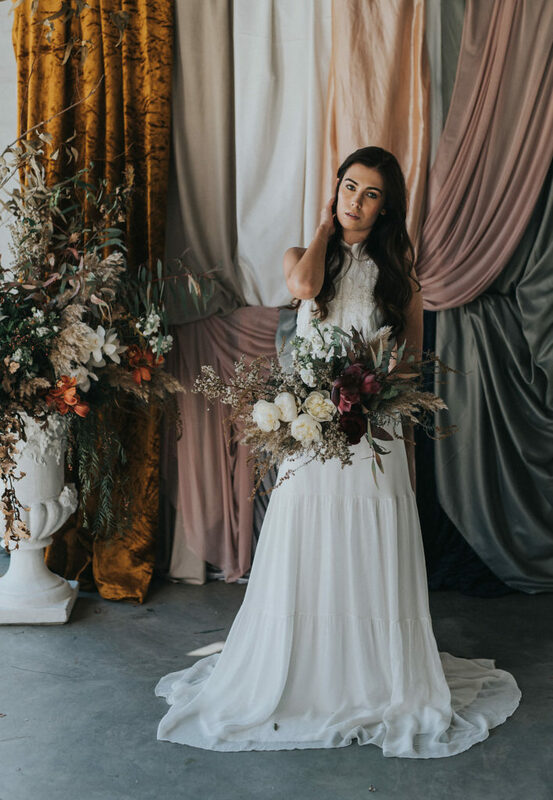 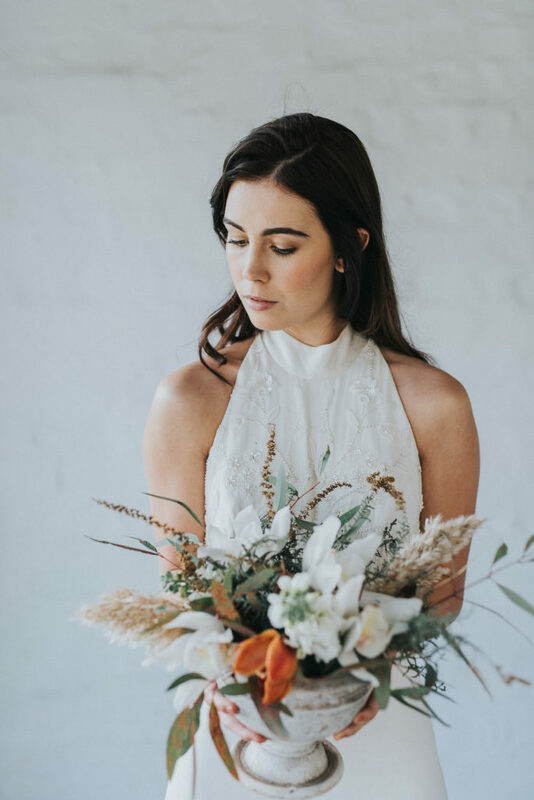 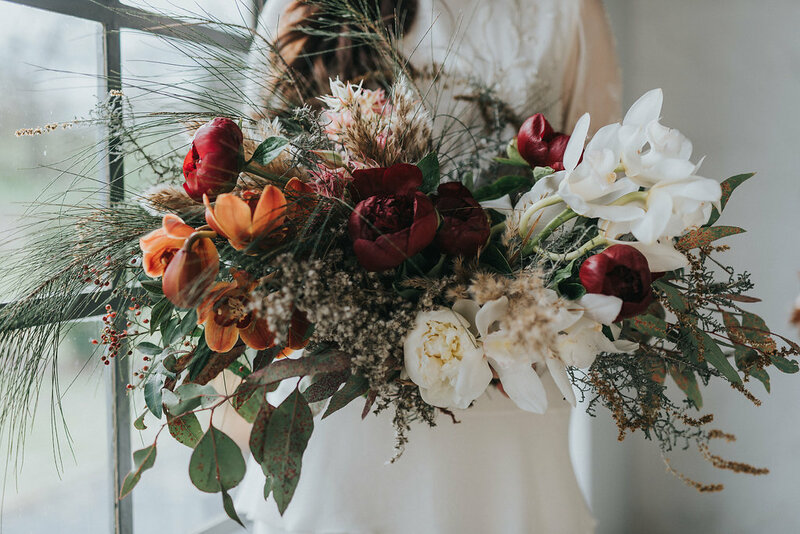 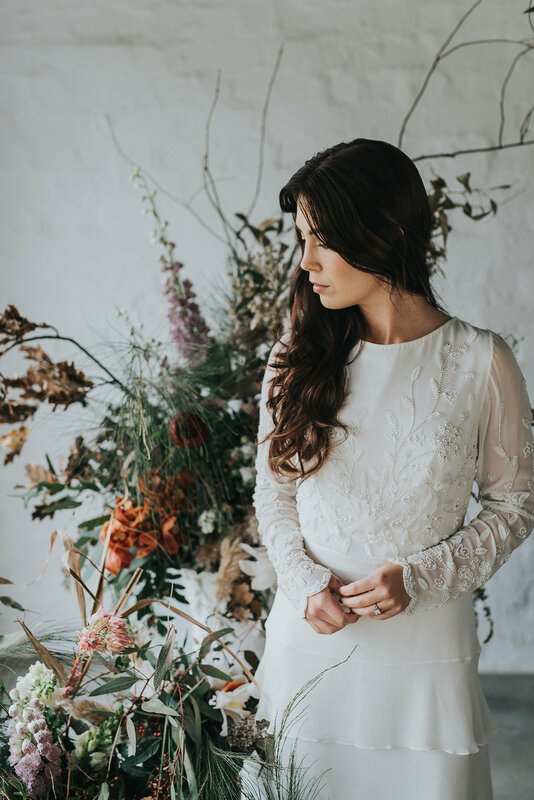 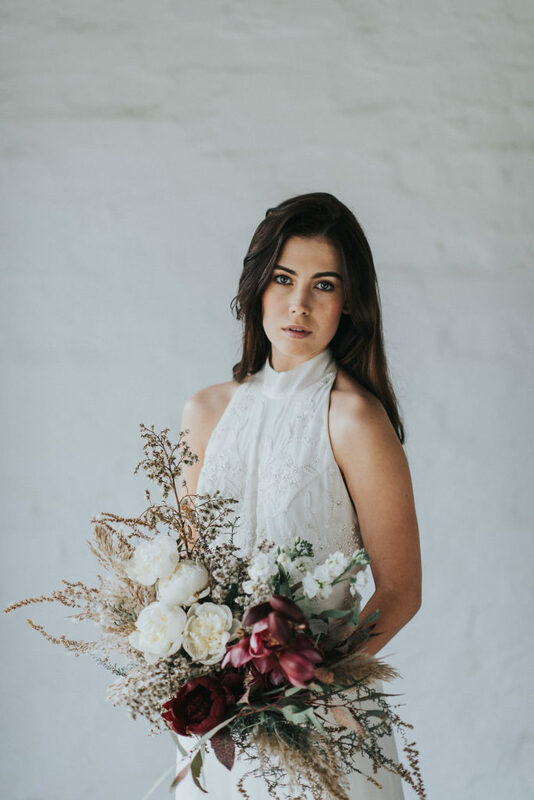 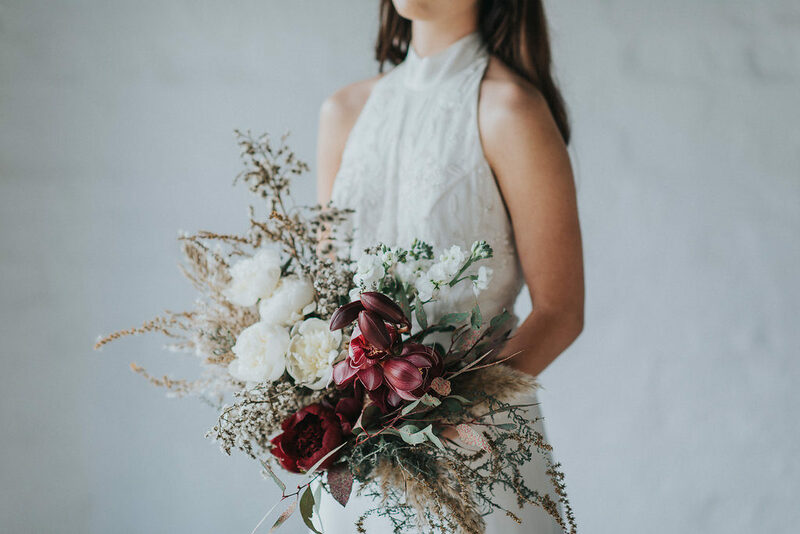 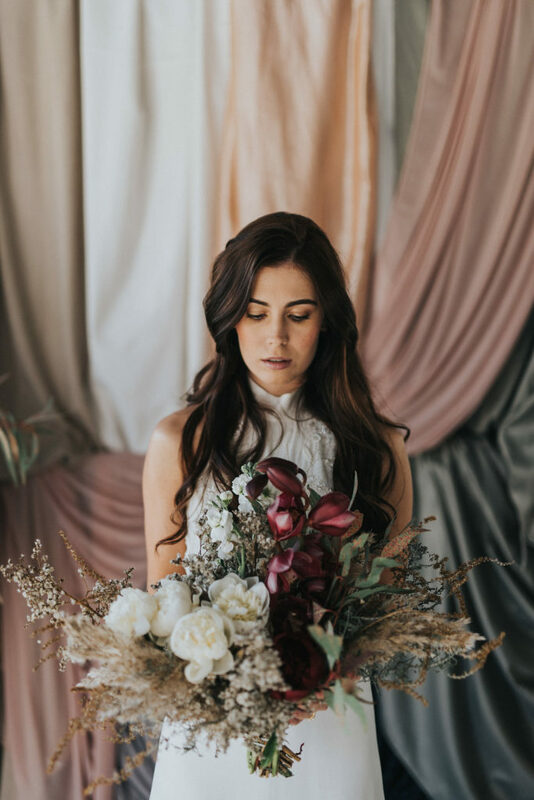 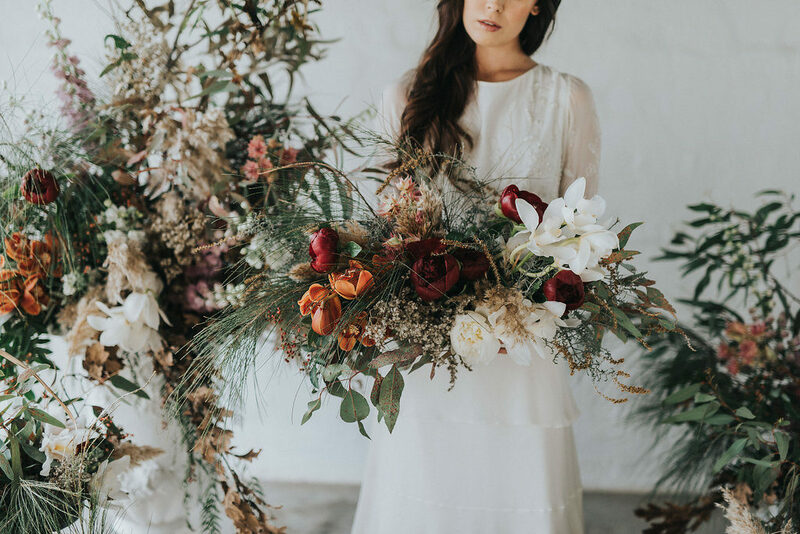 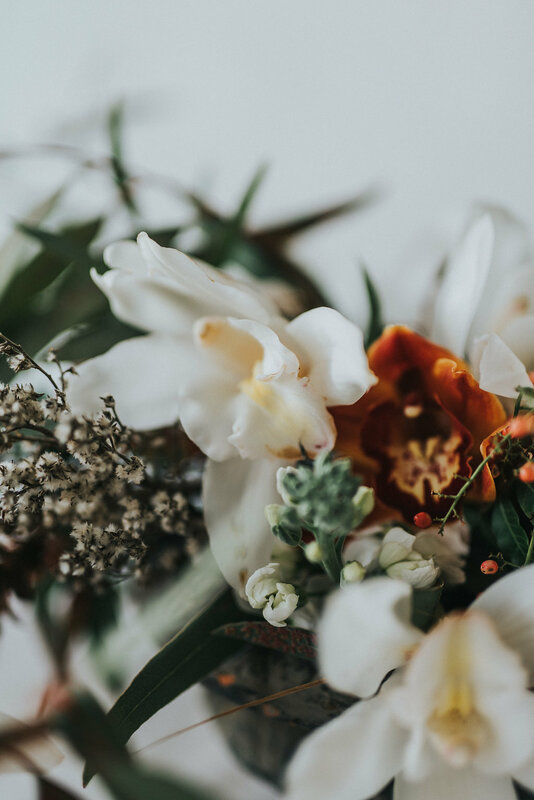 This editorial focused on beautiful florals, beautiful dresses and beautiful details. 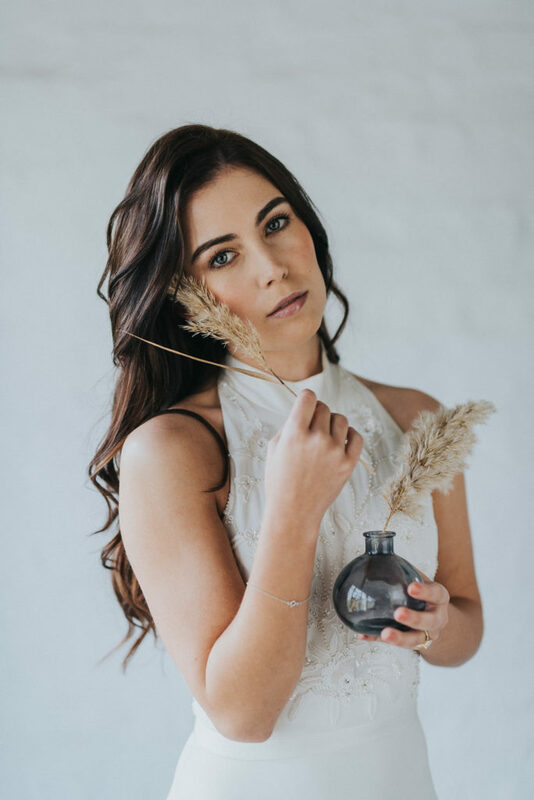 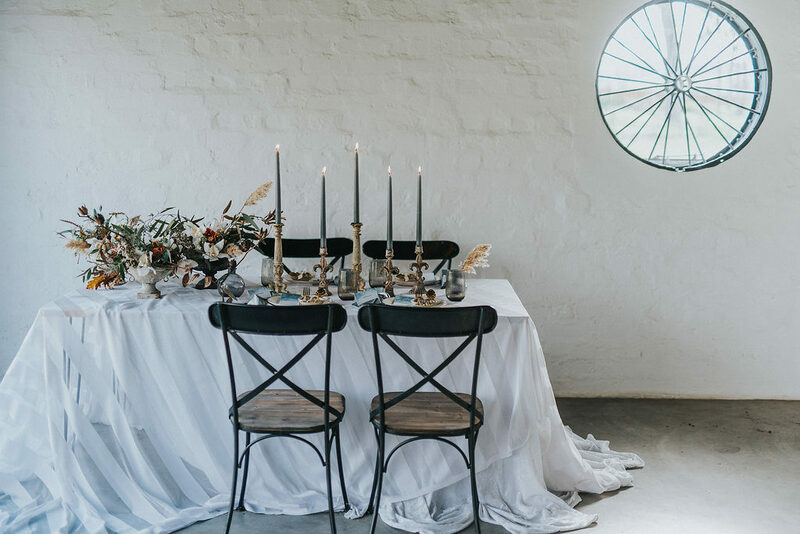 We started with a blank space , the beautiful Styling Shed in Stellenbosch, South Africa. 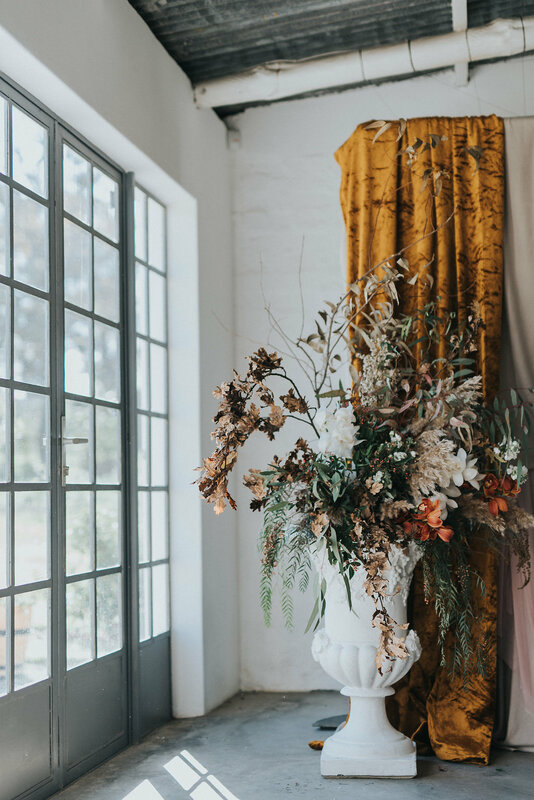 The concrete floors, big windows and textured walls was the perfect fit for the cool comfort feel. We started with our tablescape, white draped linen framed with black cross back chairs felt like a laid-back twist on the classic black and white theme. 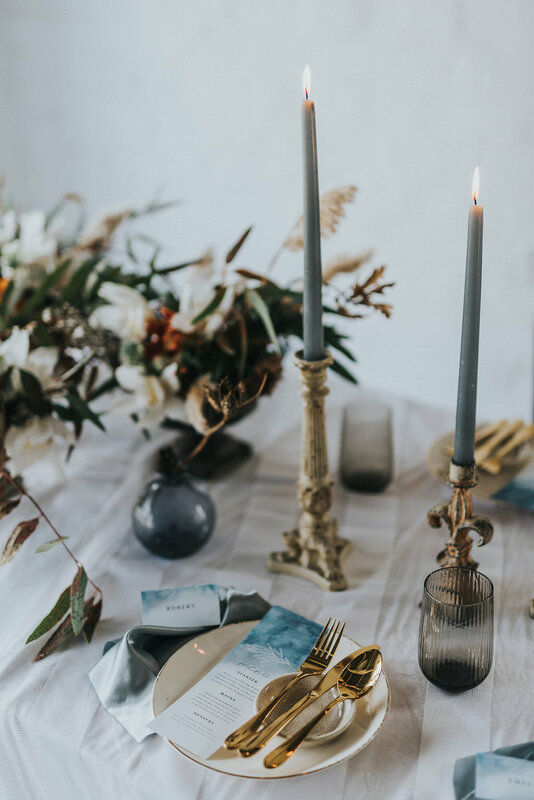 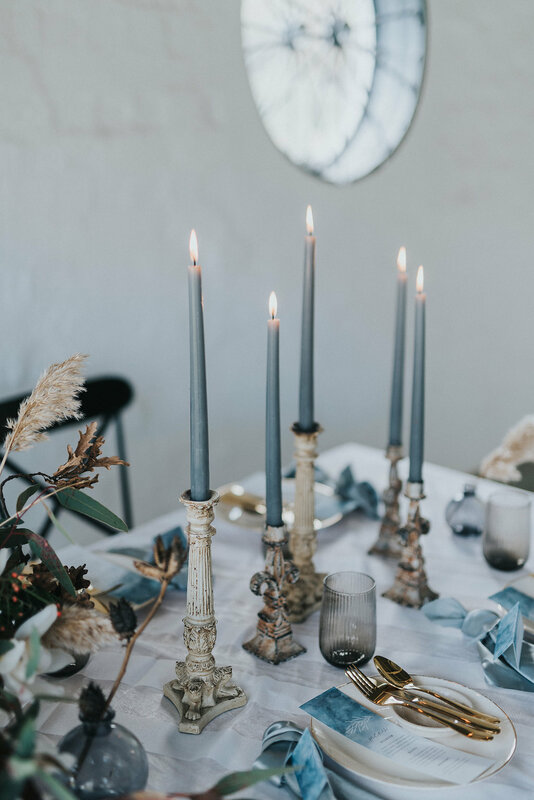 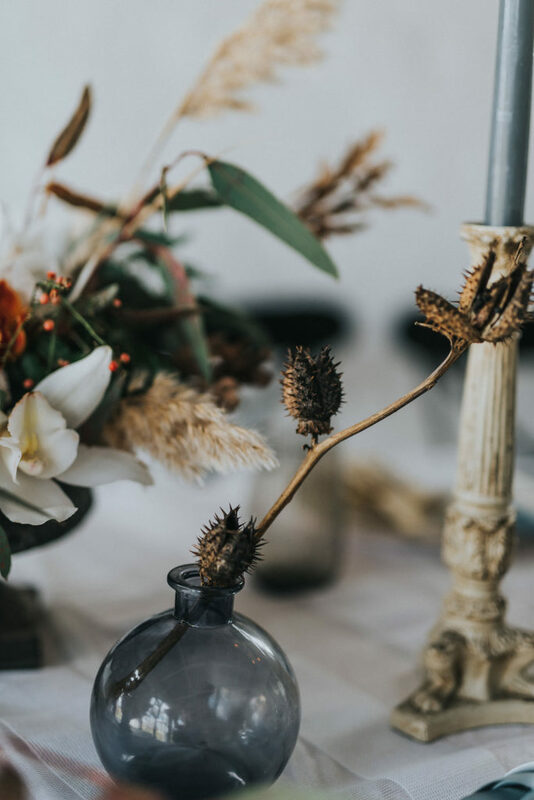 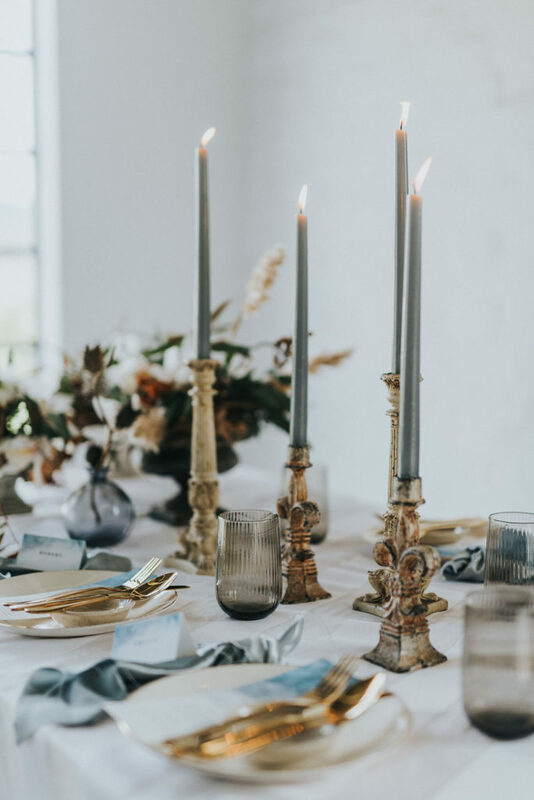 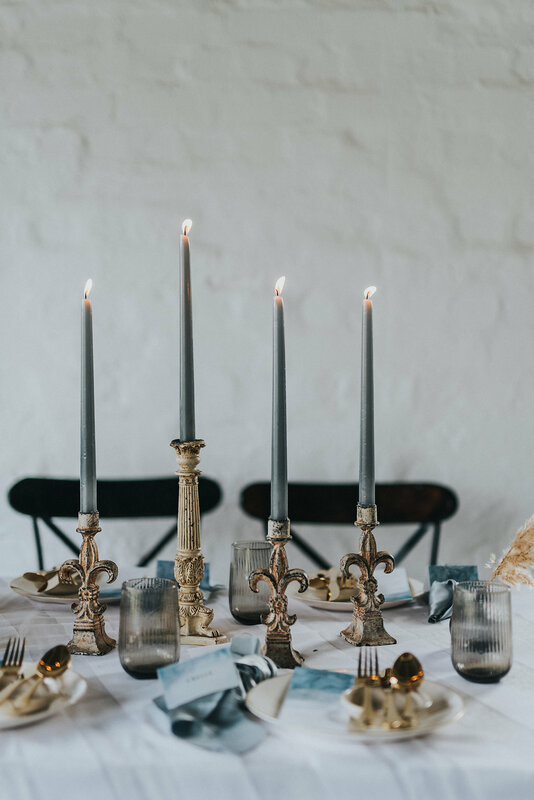 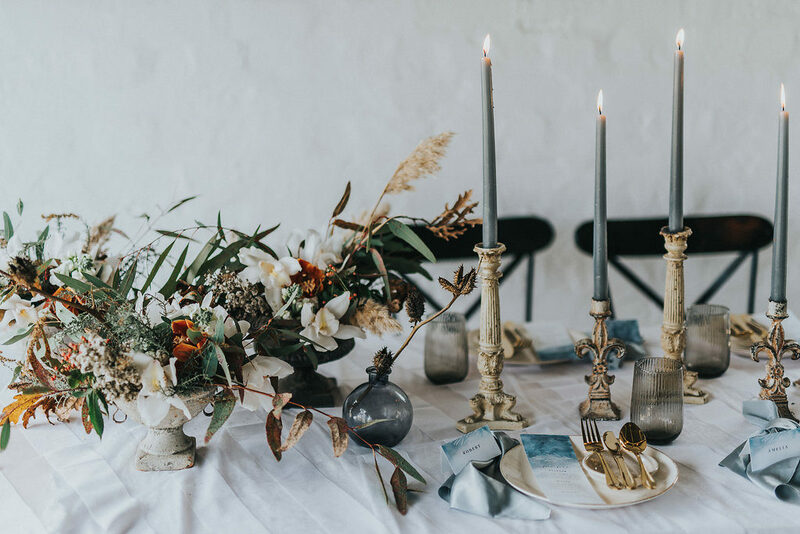 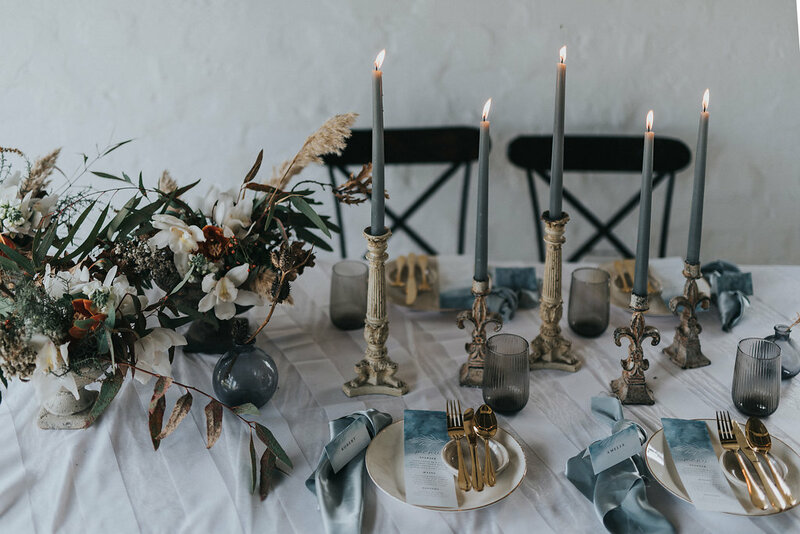 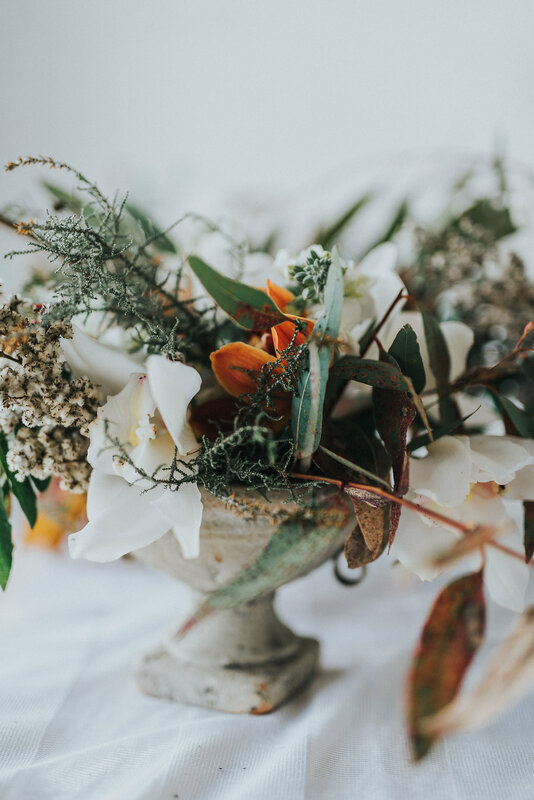 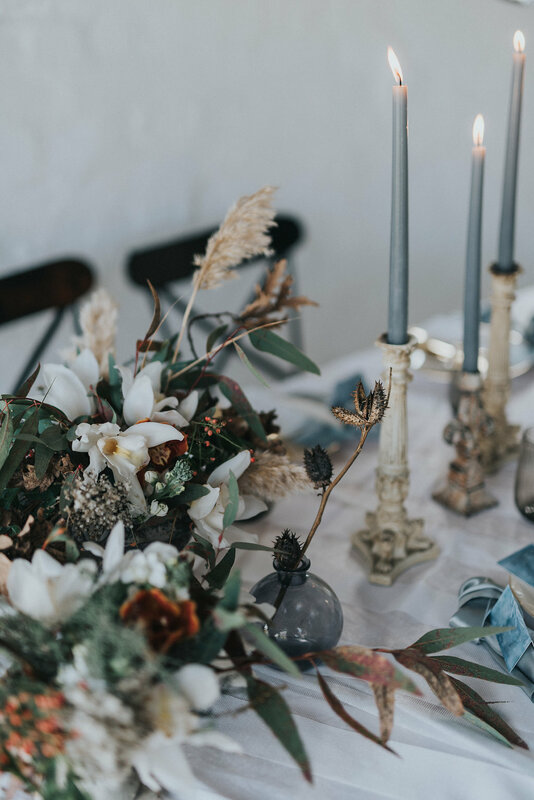 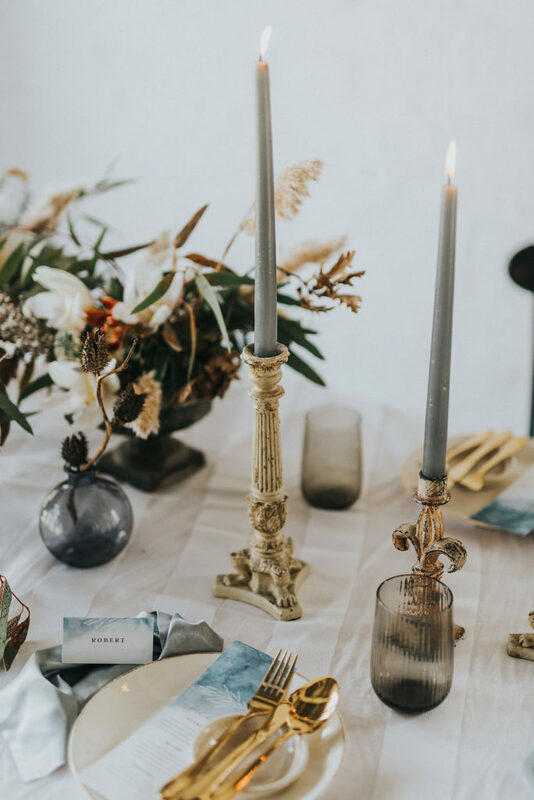 All the floral elements were grouped on one side of the table leaving the antique style candle sticks and grey candles to shine on their own. 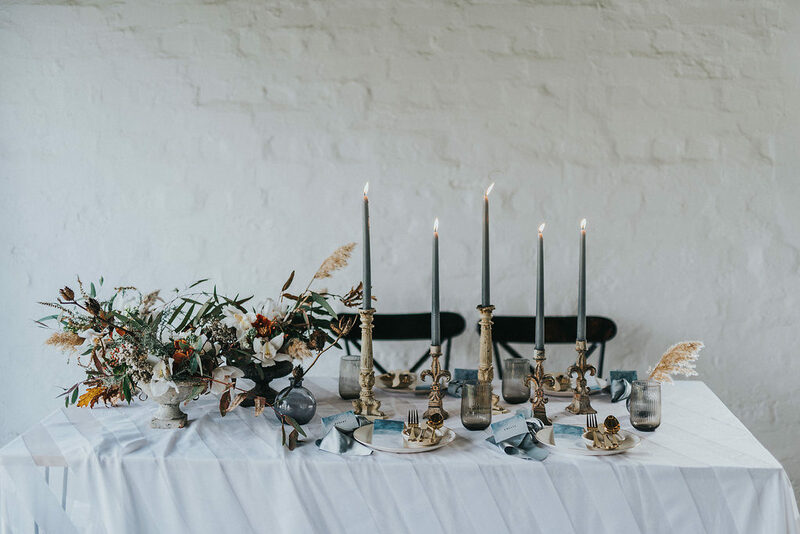 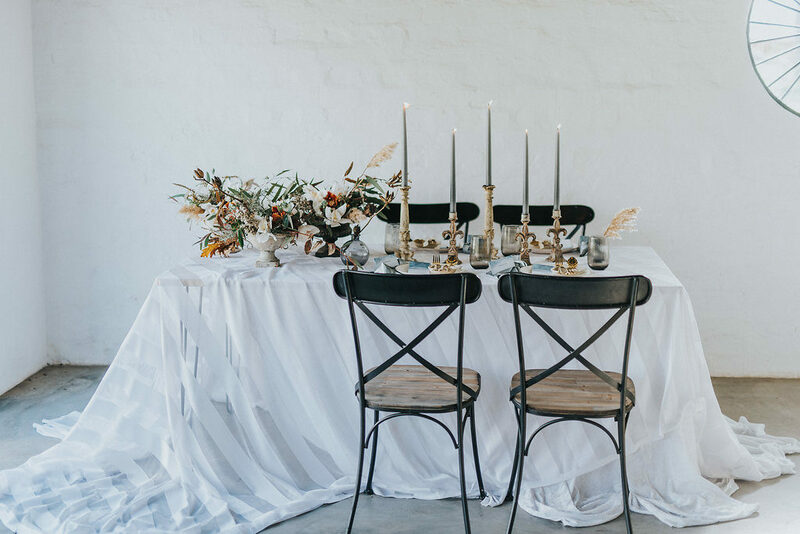 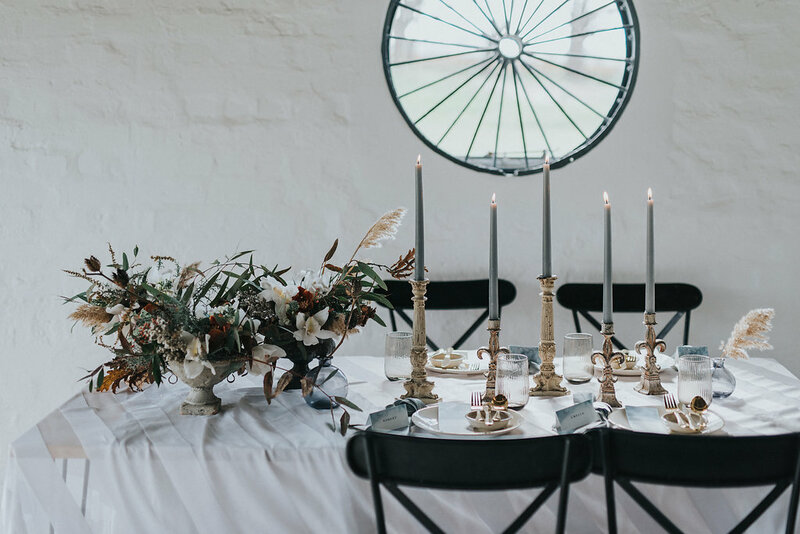 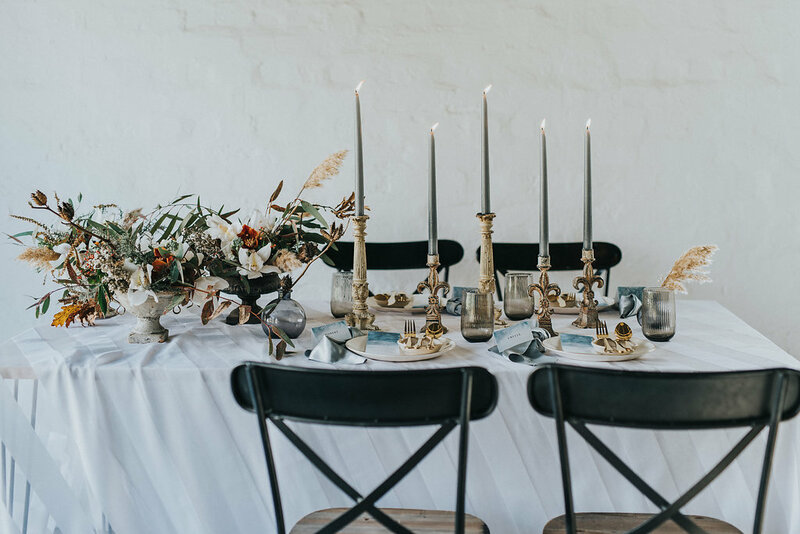 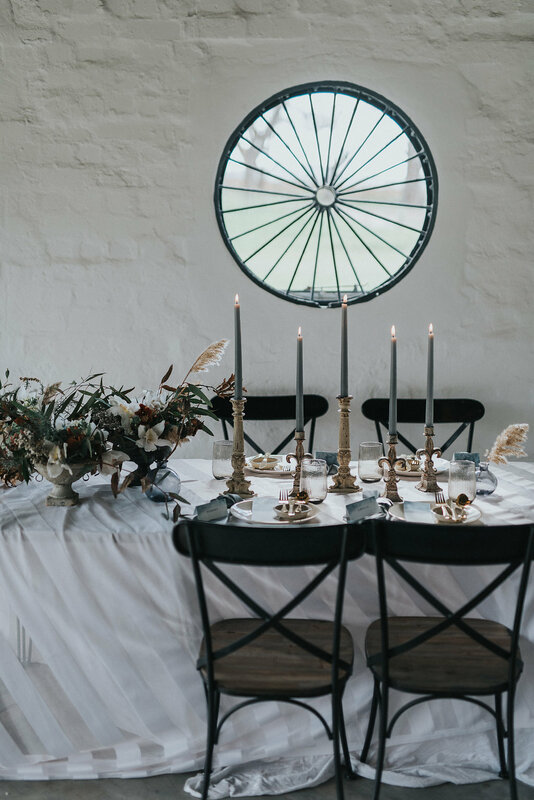 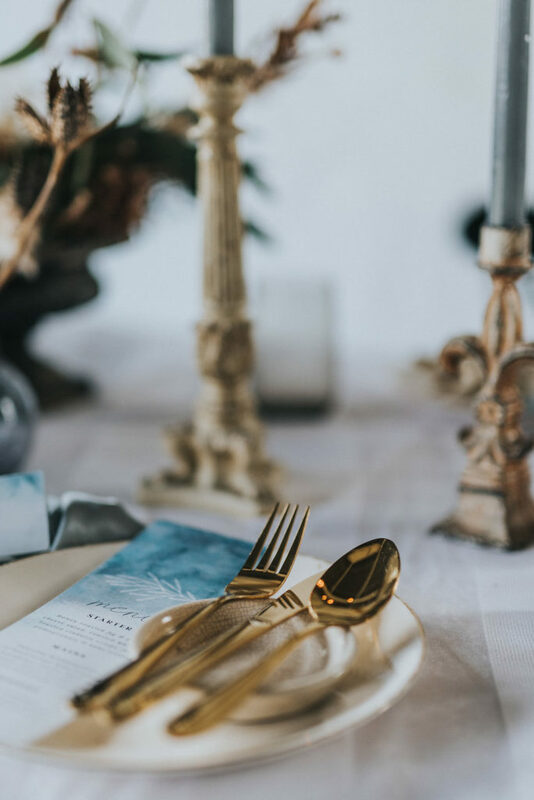 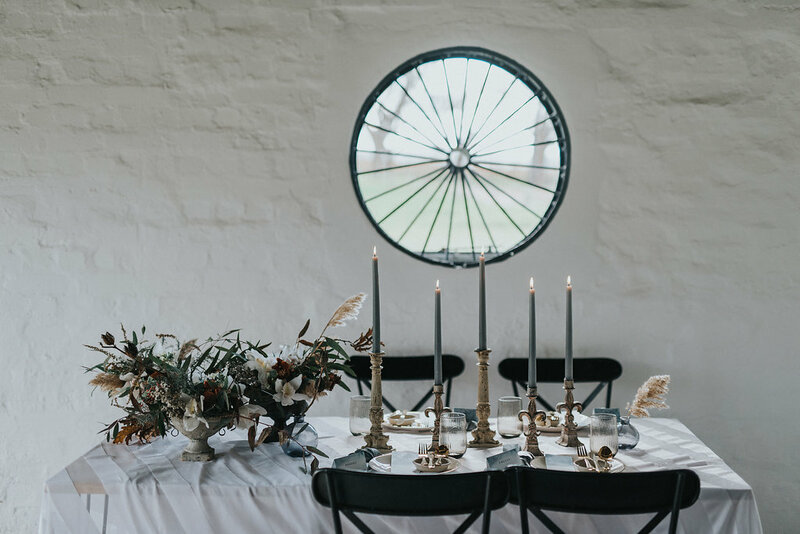 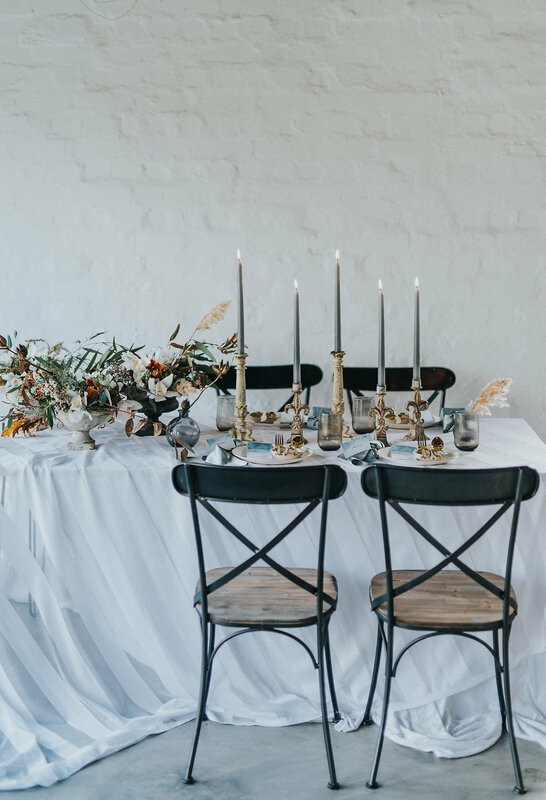 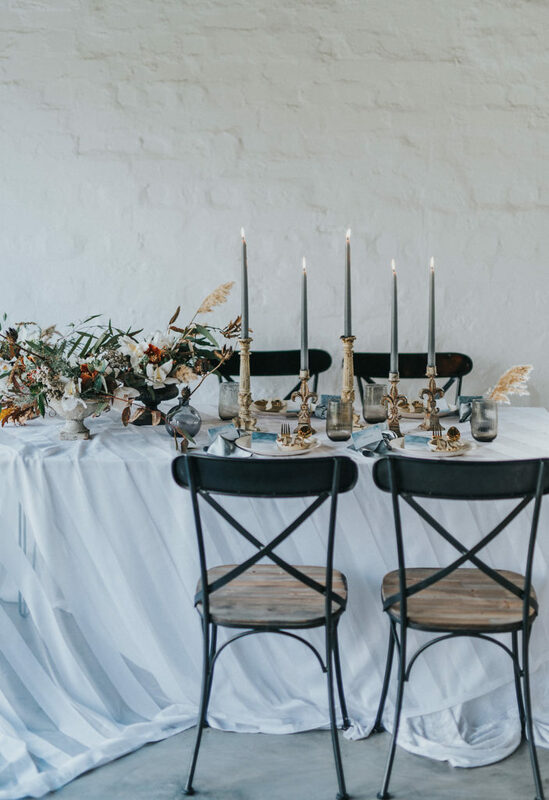 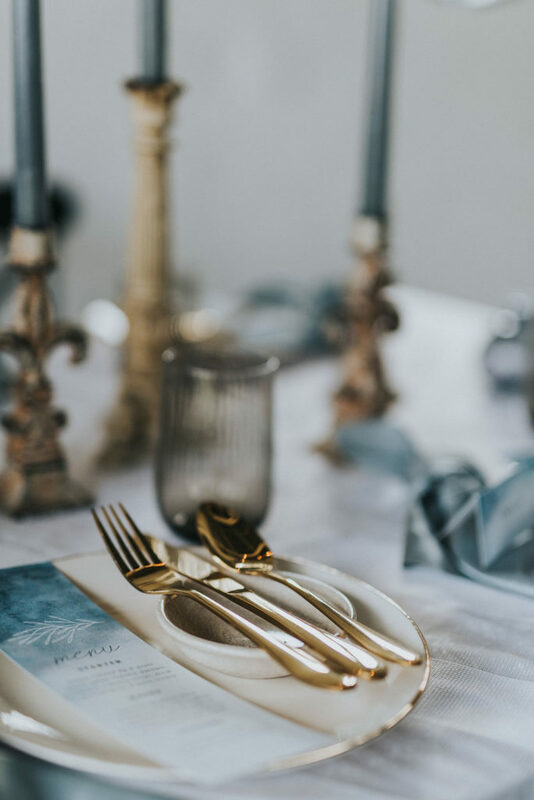 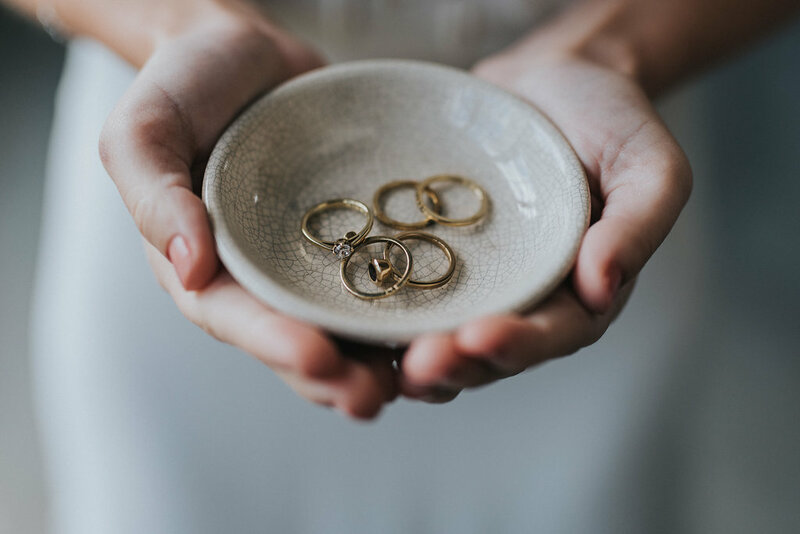 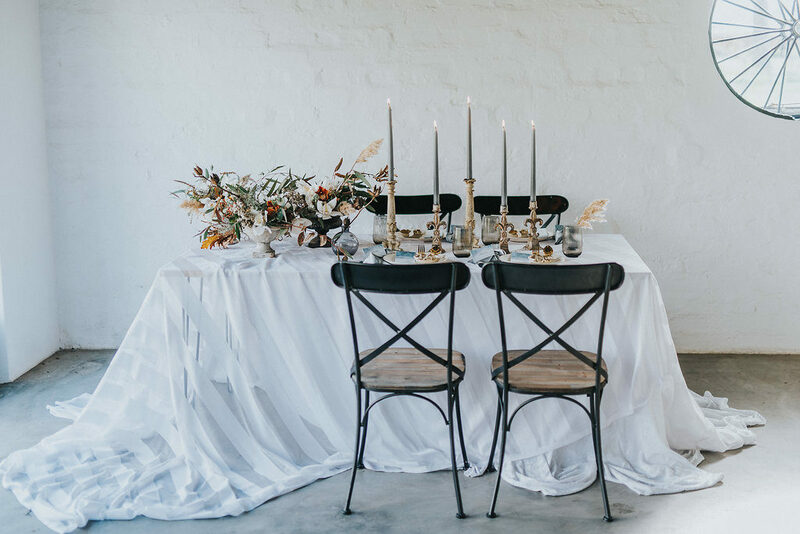 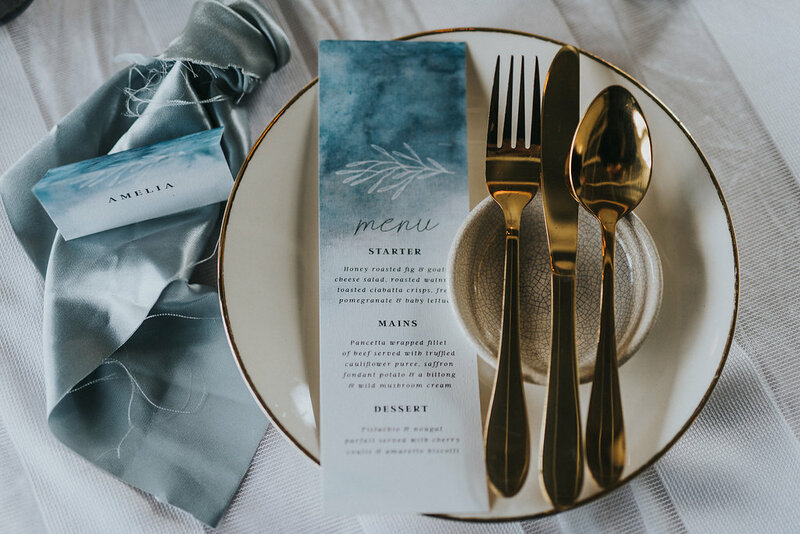 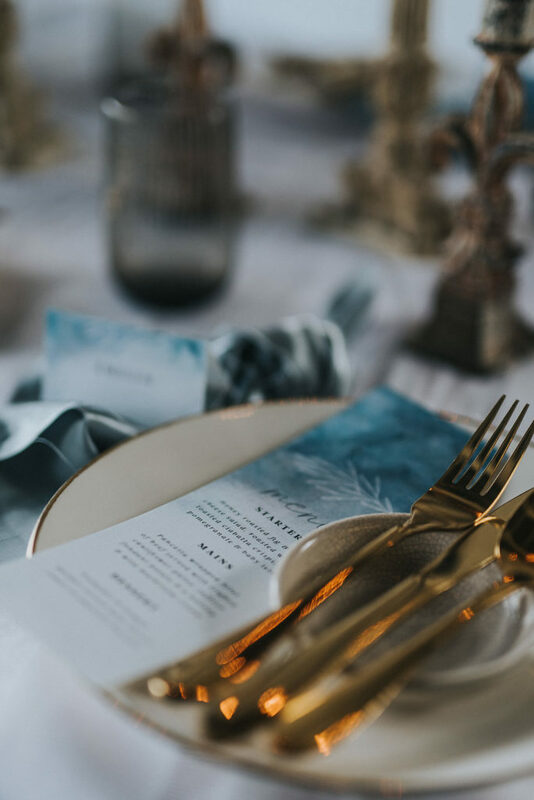 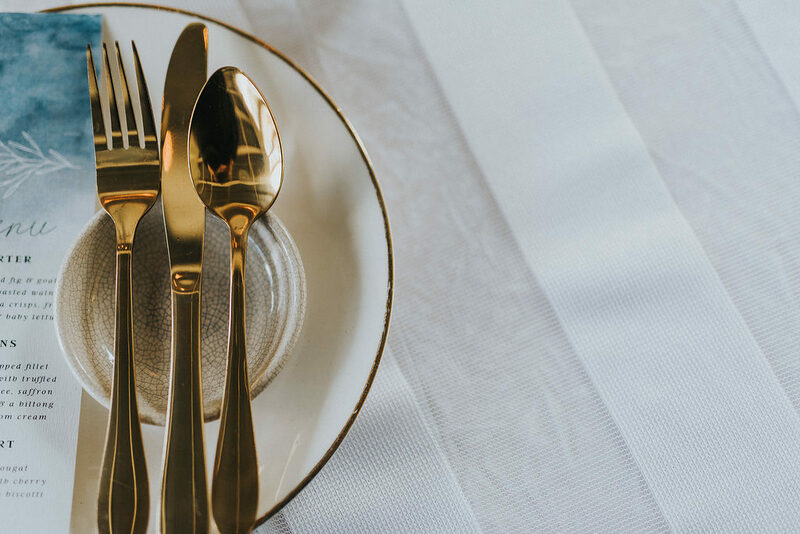 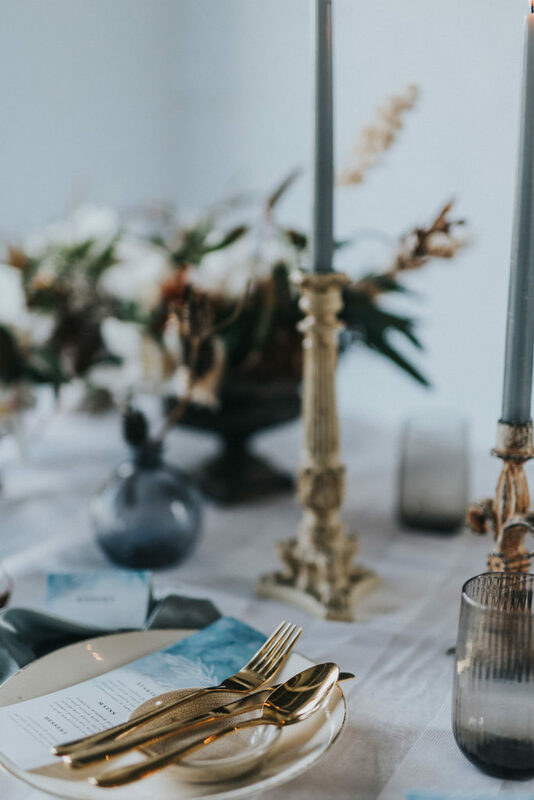 Gold rimmed crockery, gold cutlery and black glassware picked up all the different tones in the flowers and other decor elements. 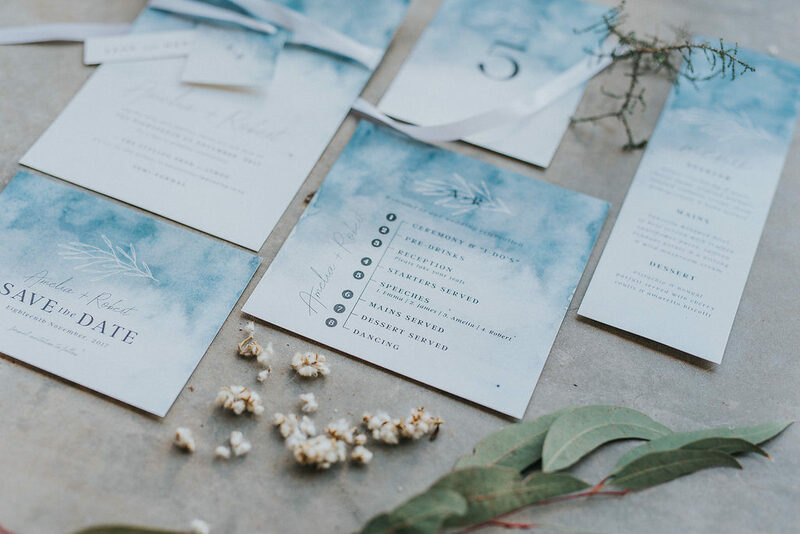 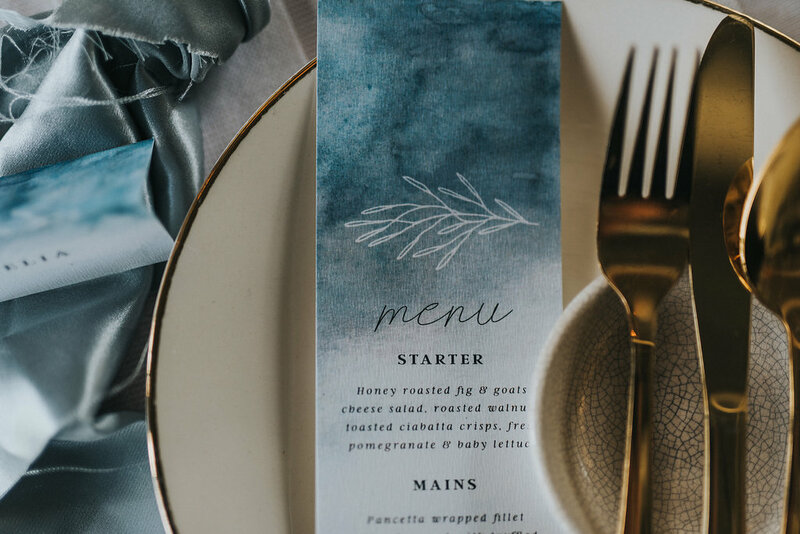 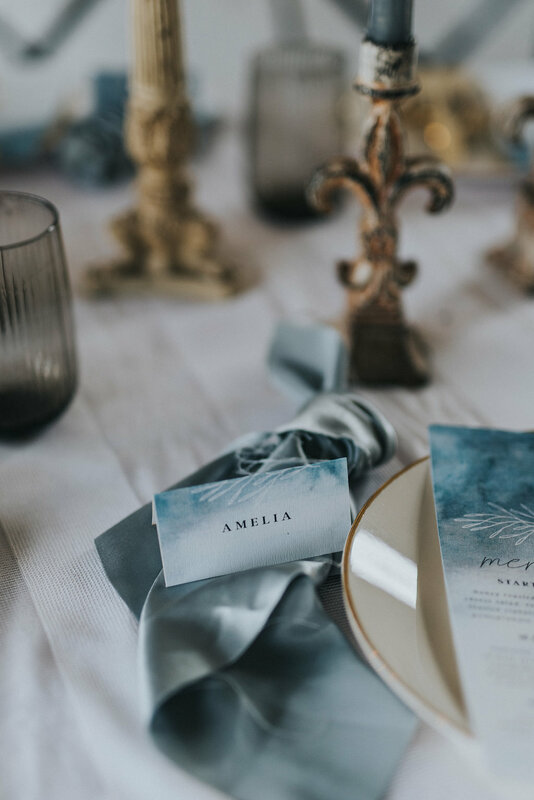 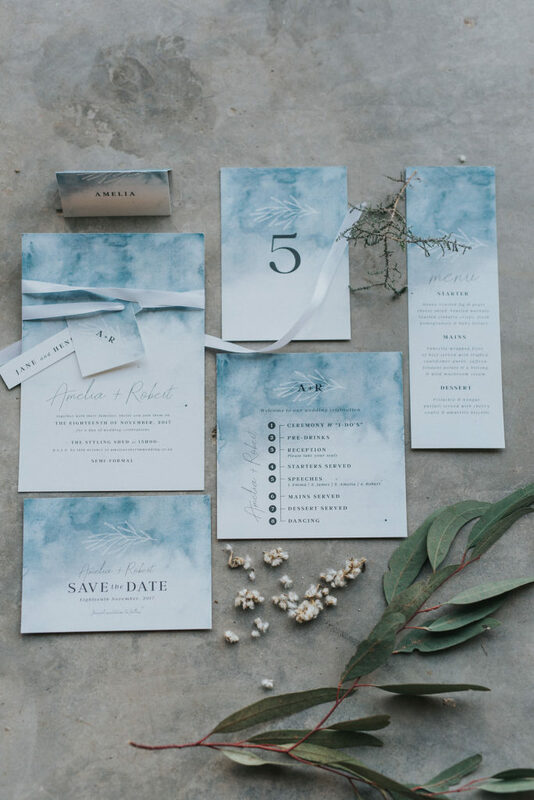 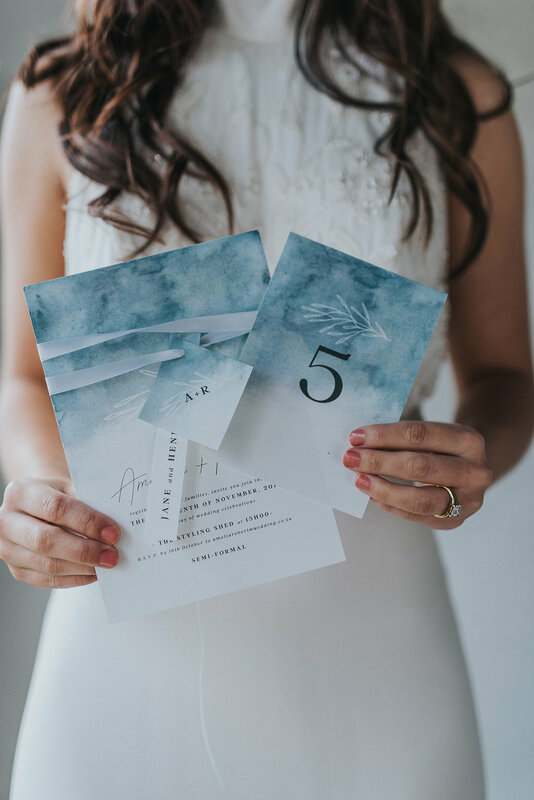 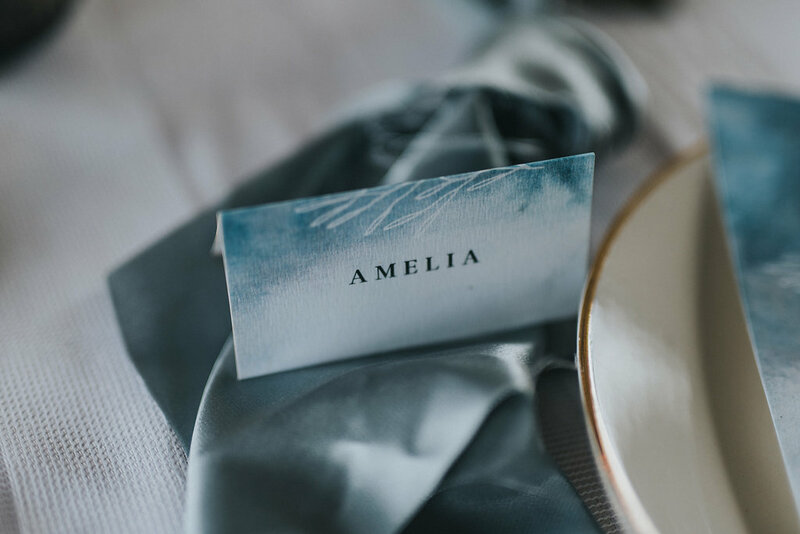 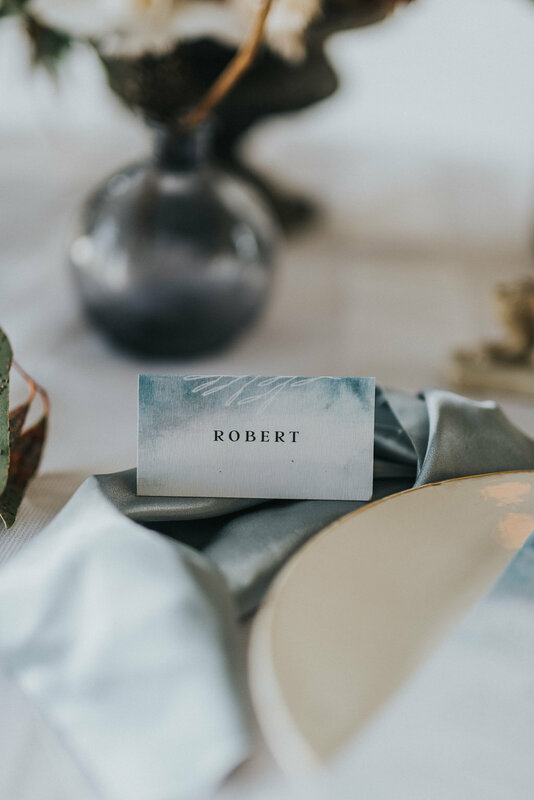 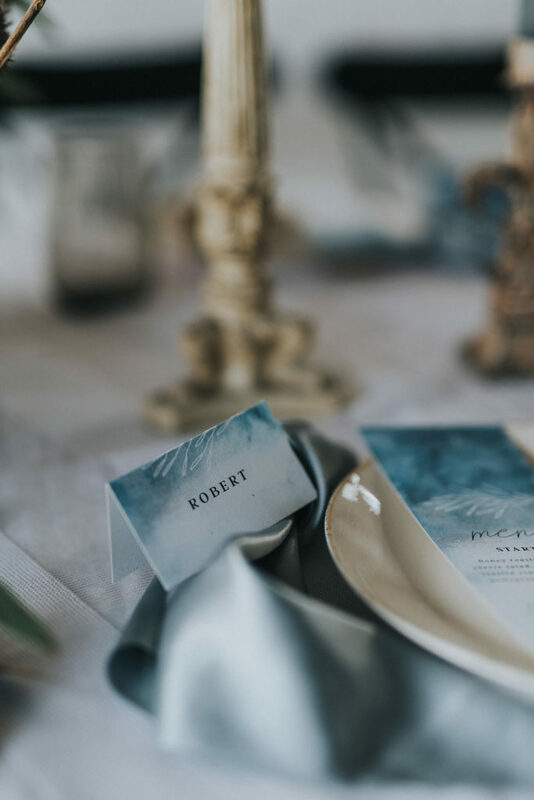 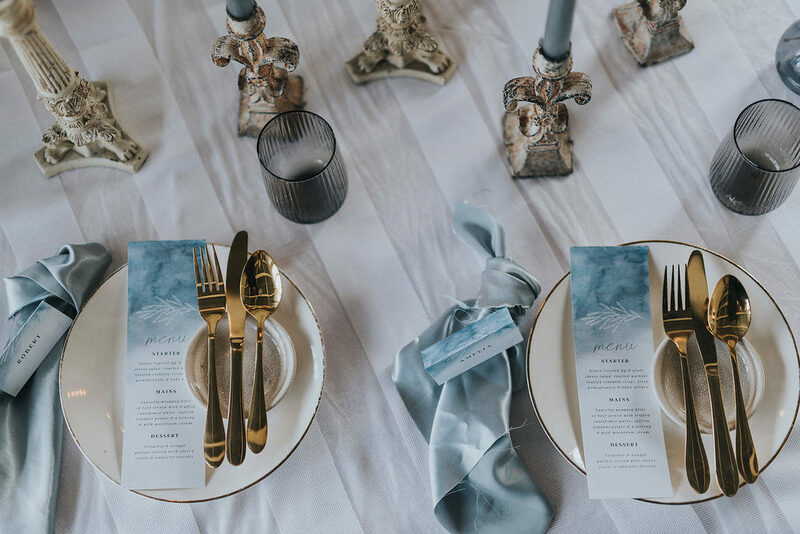 Blue-grey silk serviettes framed each table setting and gorgeous blue ombre stationary was added for that perfect finish. 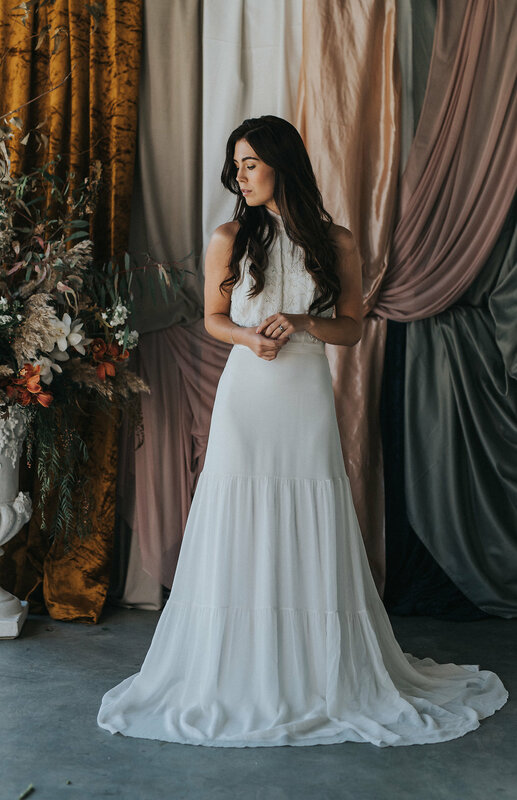 Bo & Luca dresses complemented the cool comfort feel perfectly. 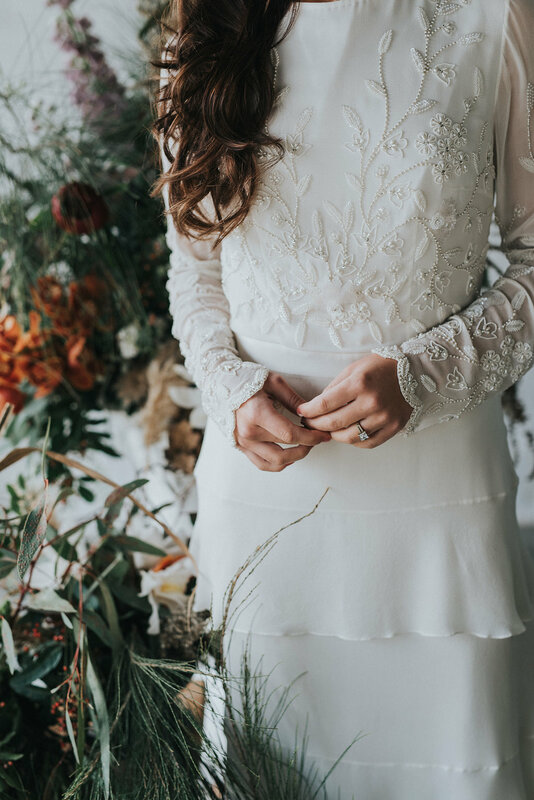 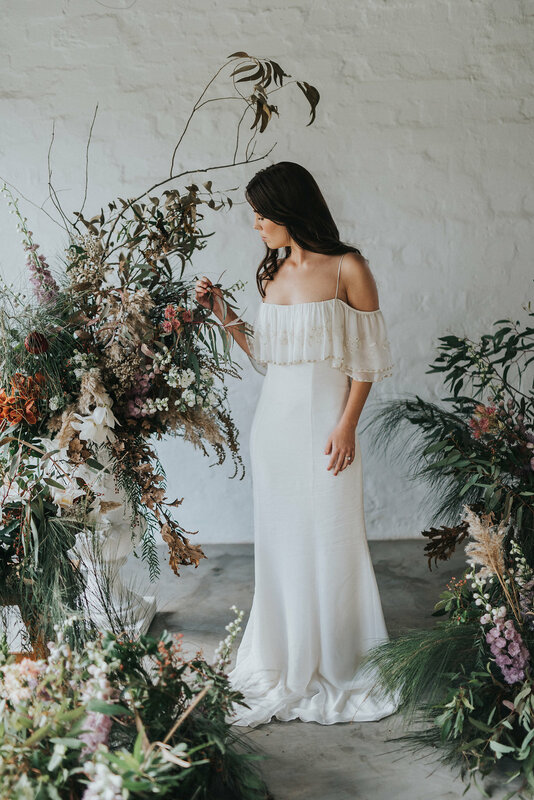 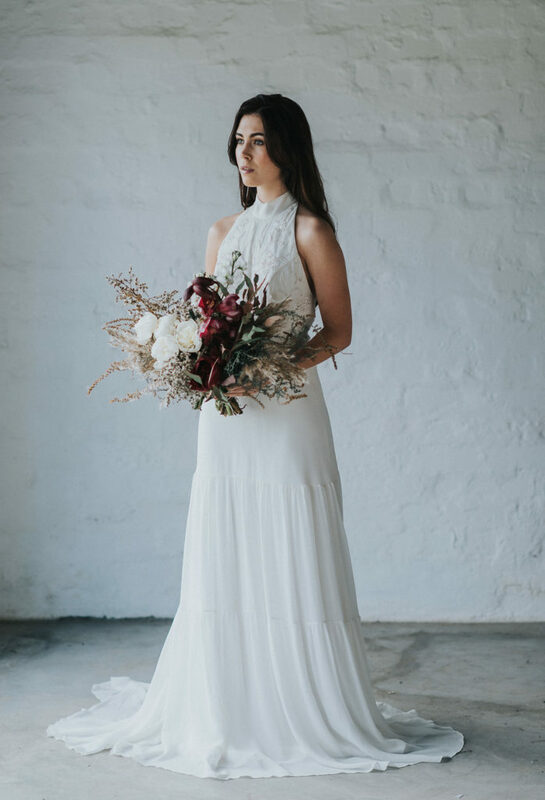 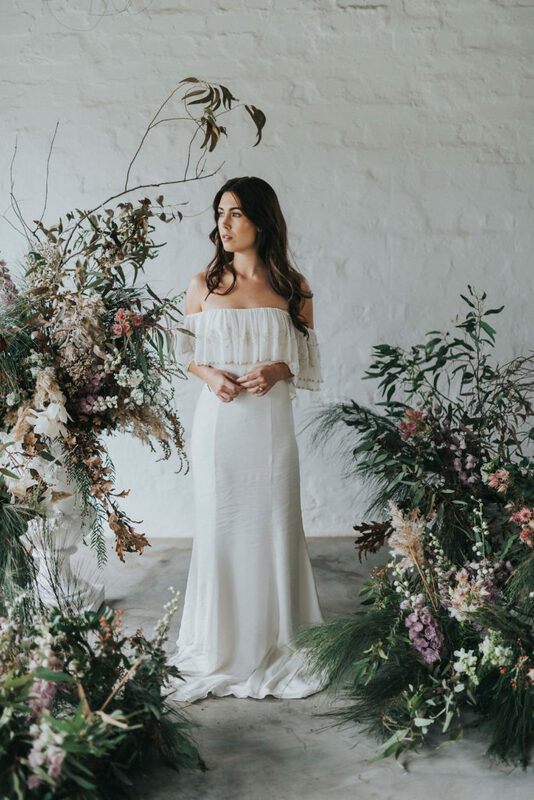 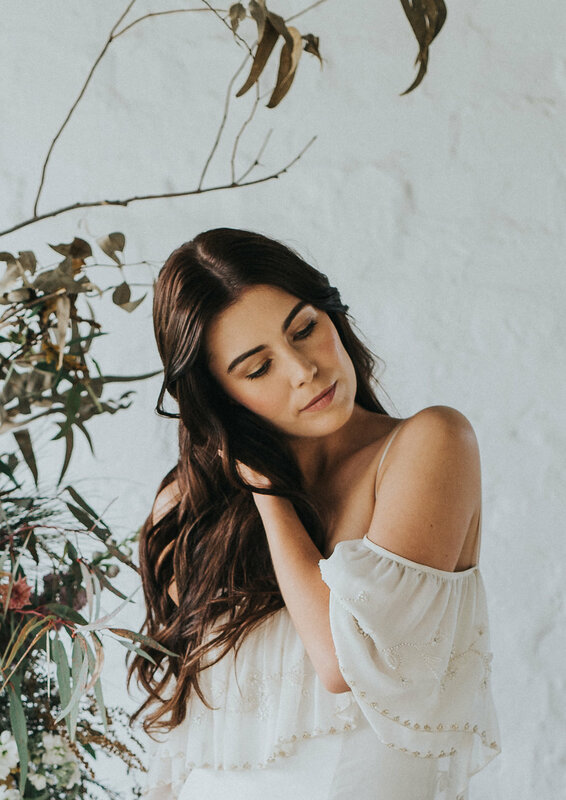 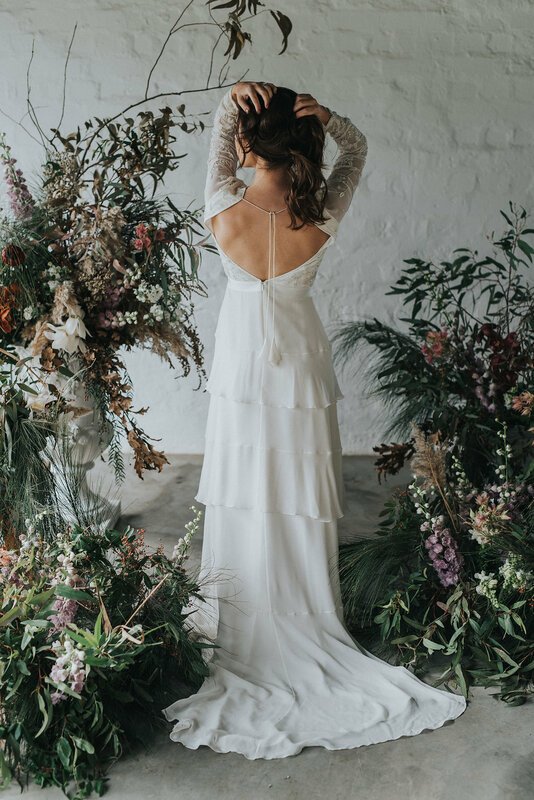 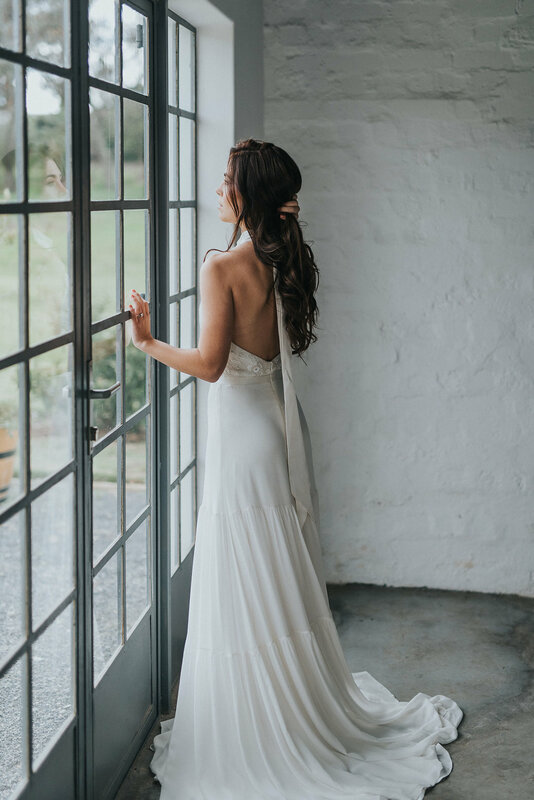 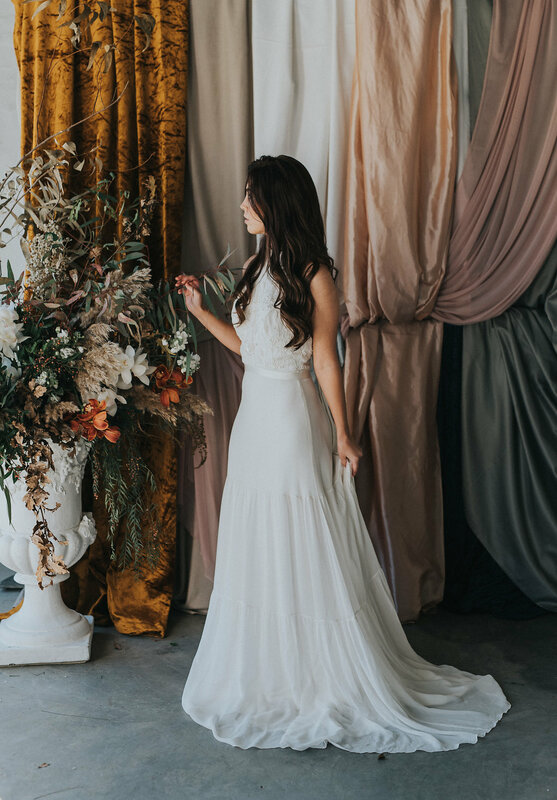 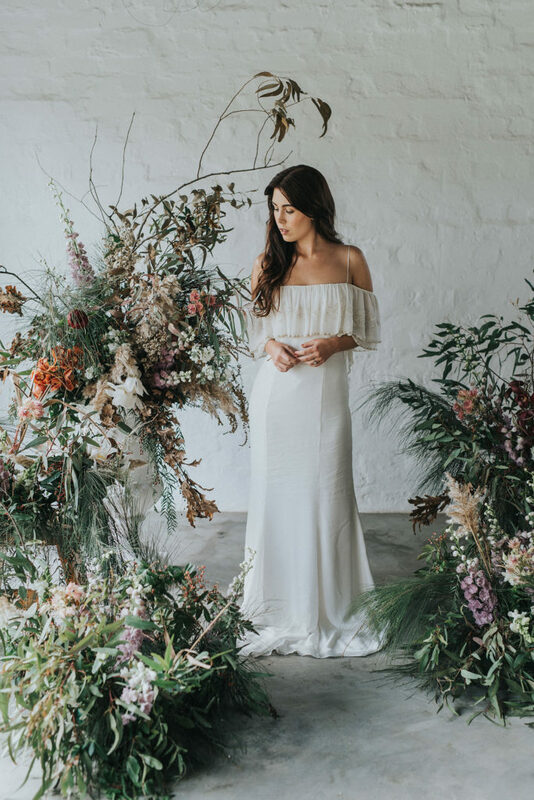 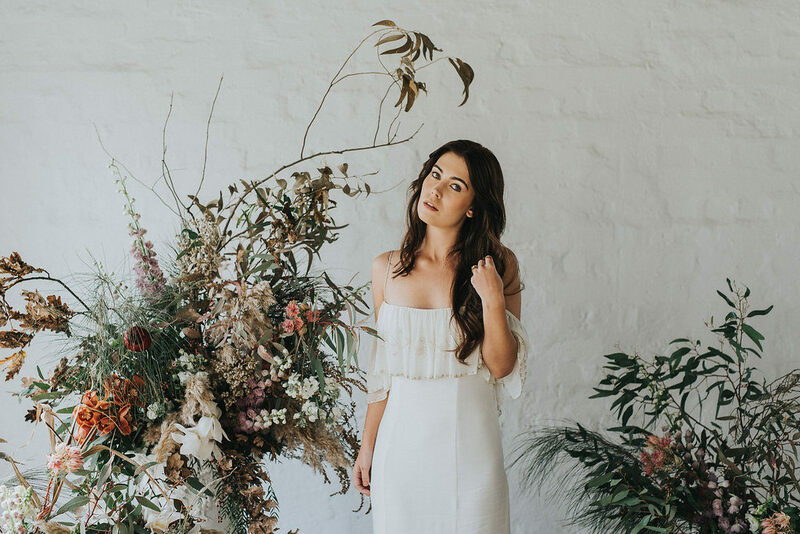 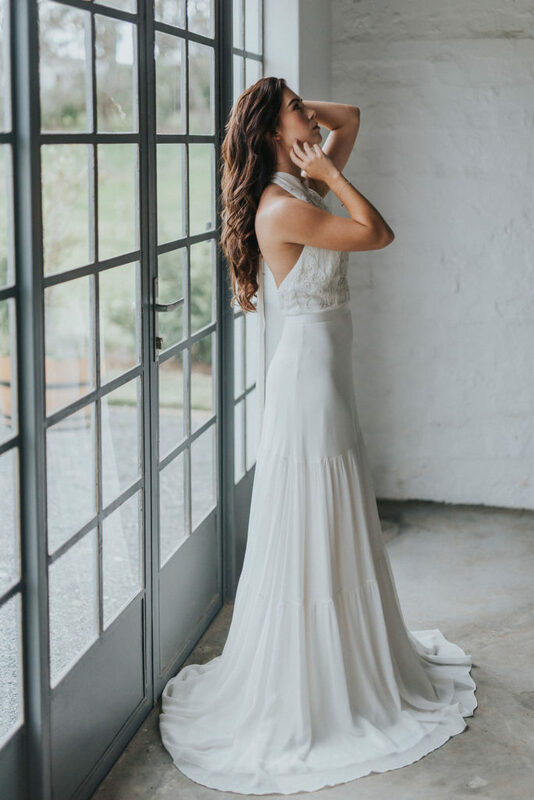 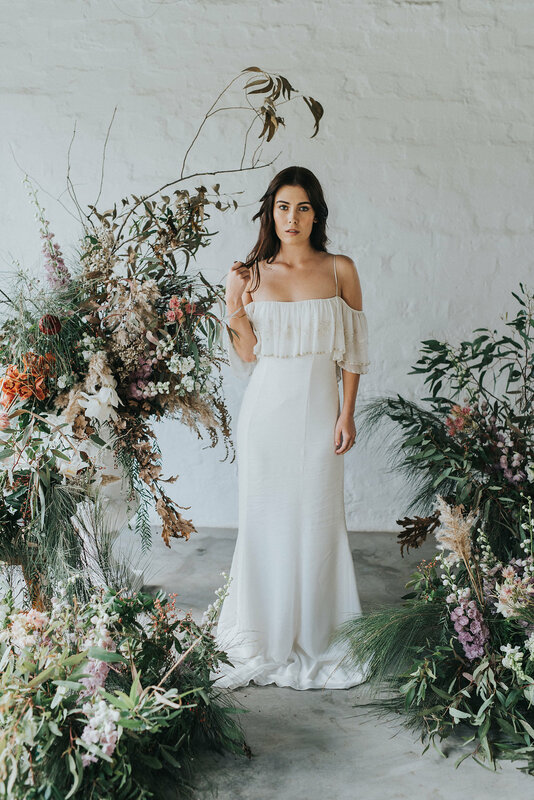 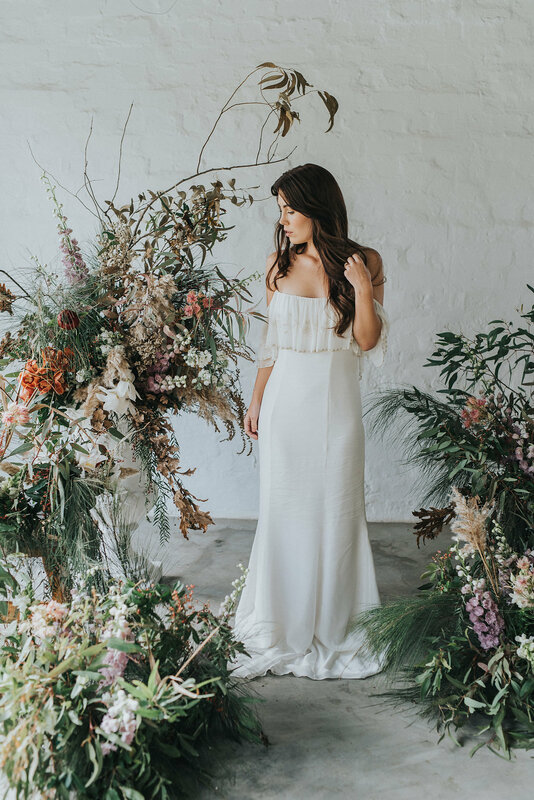 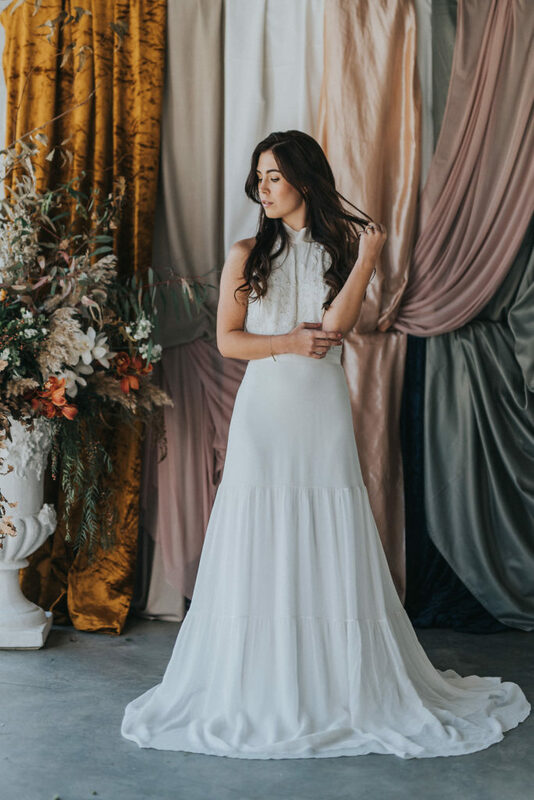 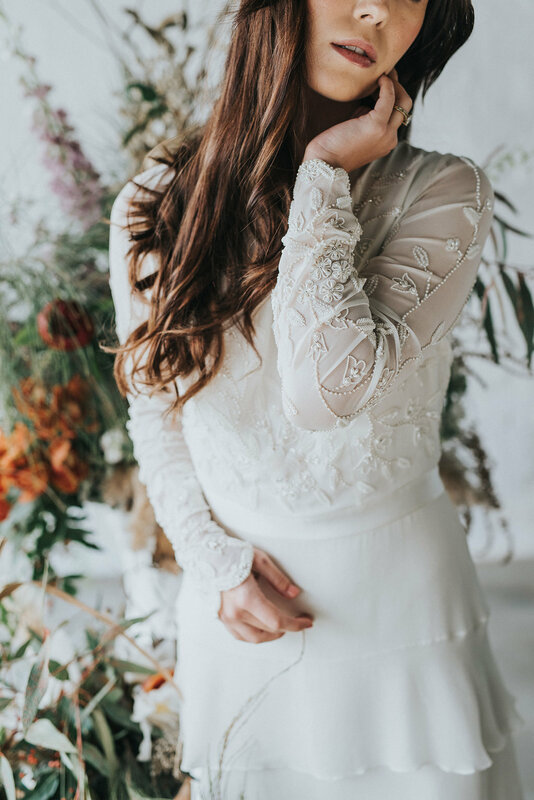 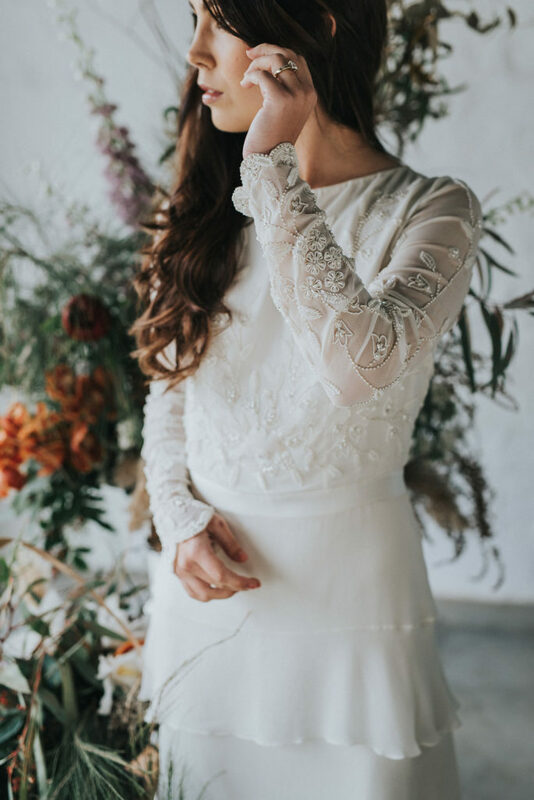 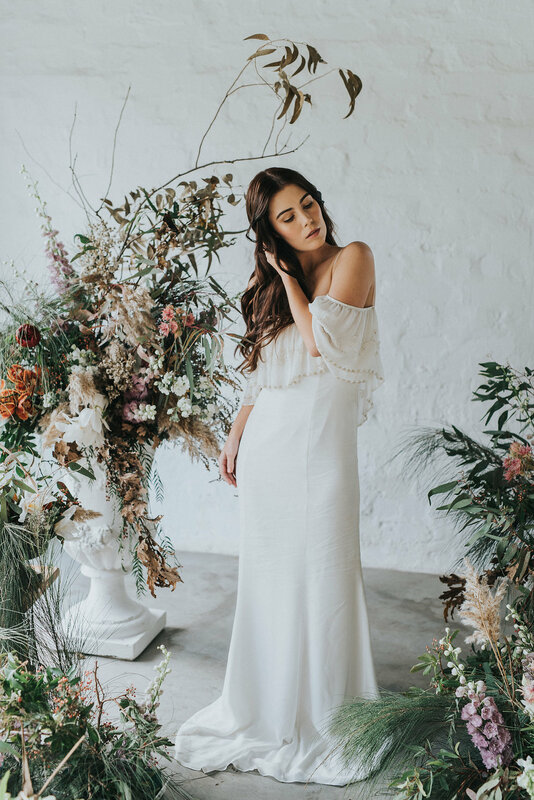 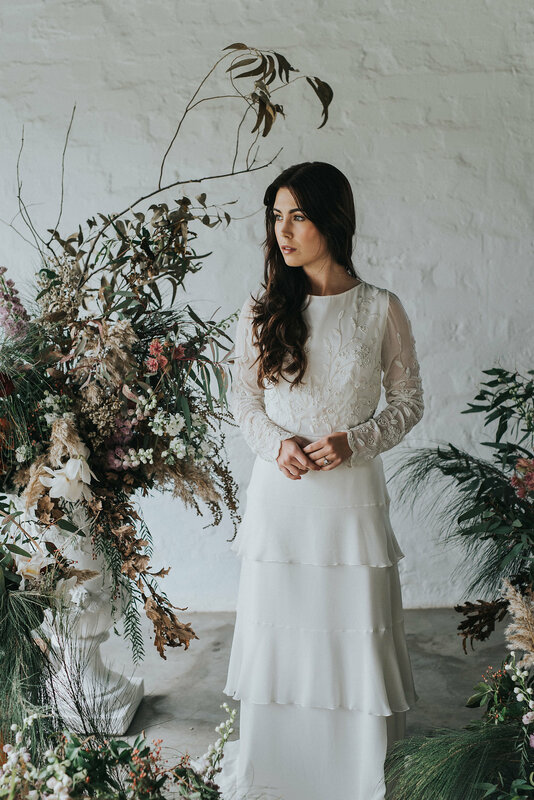 Beautiful silk, exposed backs, romantic long sleeves and off shoulder designs were the perfect boho look for the modern bride. 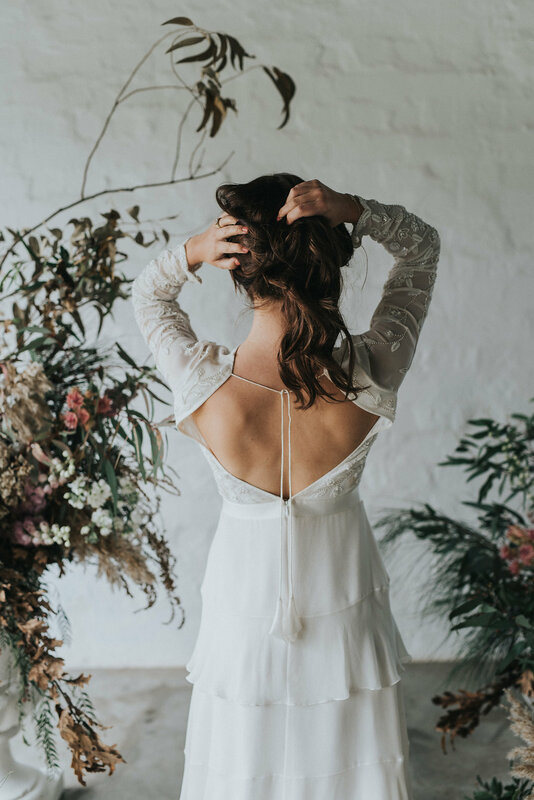 With every bodice hand beaded and every dress hand dyed, we appreciate Bo & Luca’s eye for detail and exquisite craftsmanship. 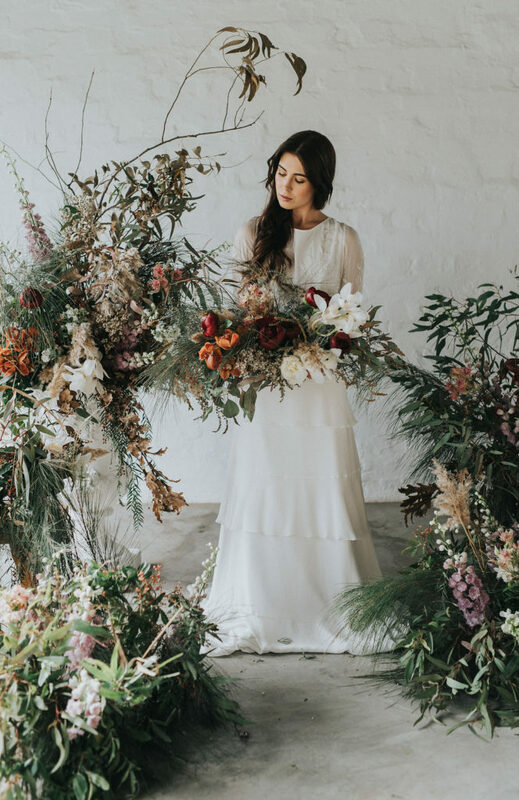 An intimate flower corner with layered arrangements was a perfect frame for our gorgeous bride-model and could also be the perfect ceremony setting. 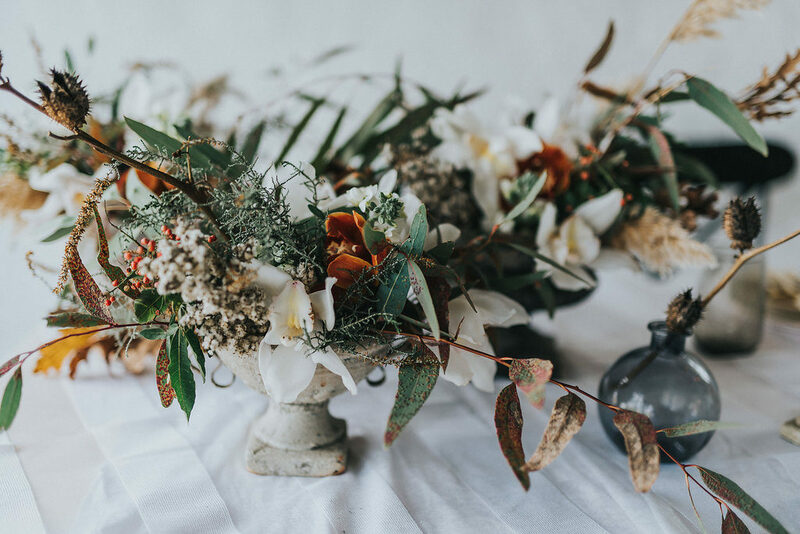 Oversized tuscan vases and romantic blooms is a match made in heaven. We created a linen backdrop – a beautiful alternative to the floral or green walls we see so often. 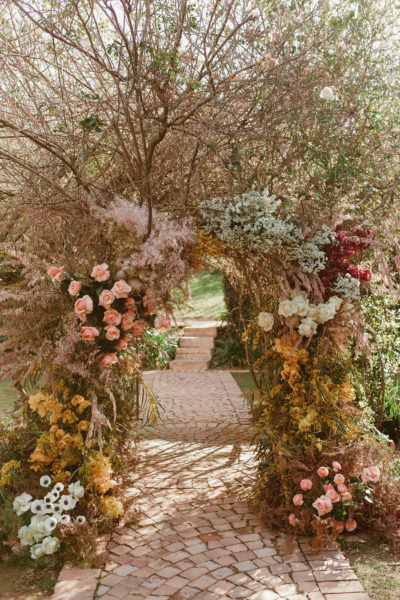 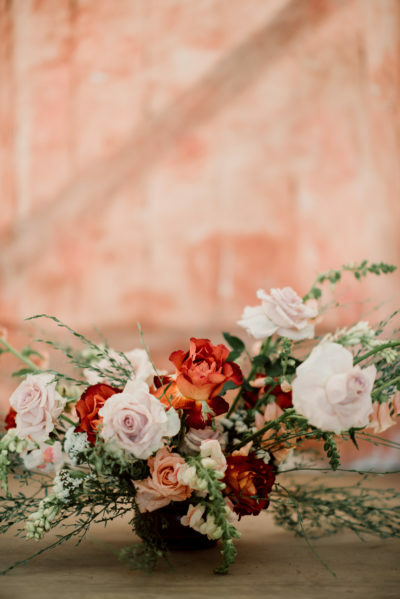 Layers of lush material were draped from a structure and paired with a floral mass arrangement which added to the romantic feel of the setting. 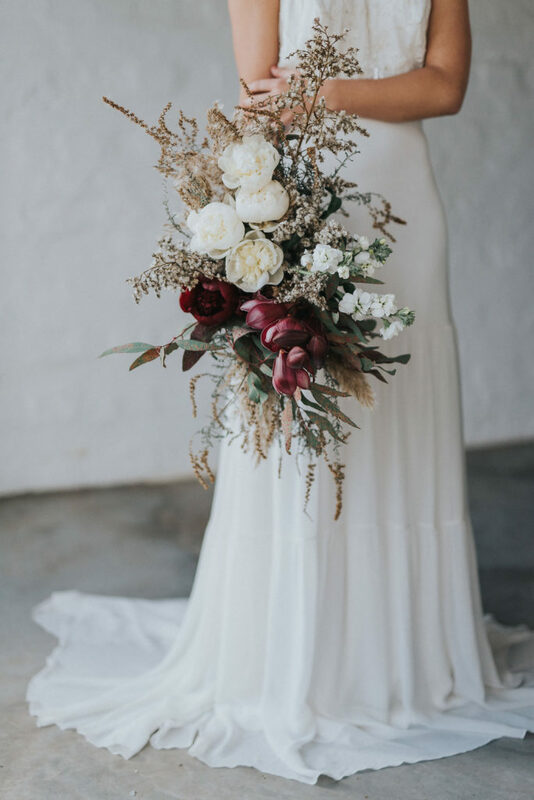 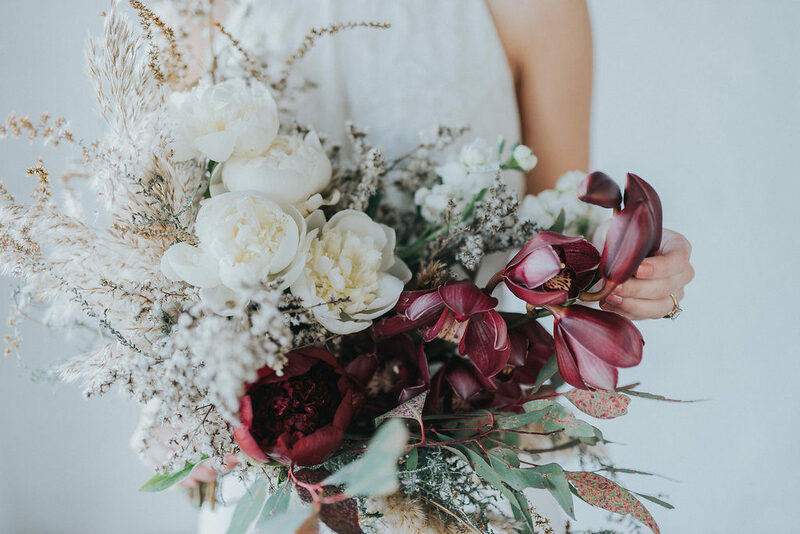 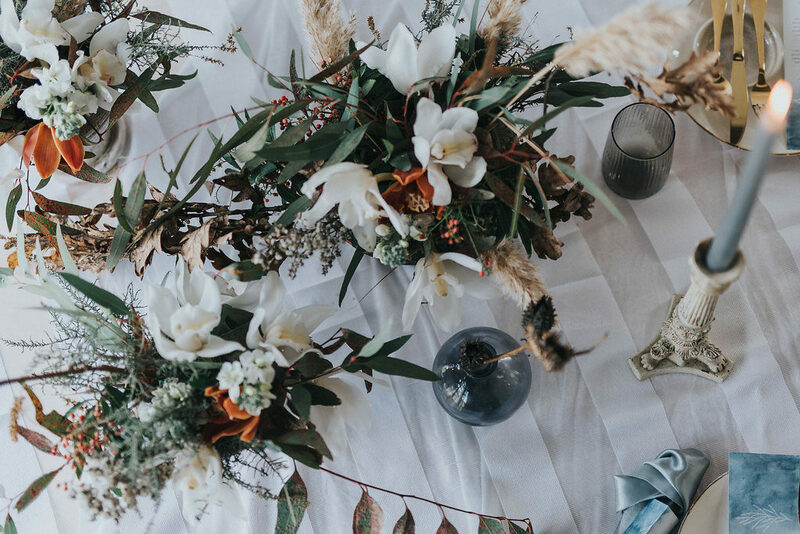 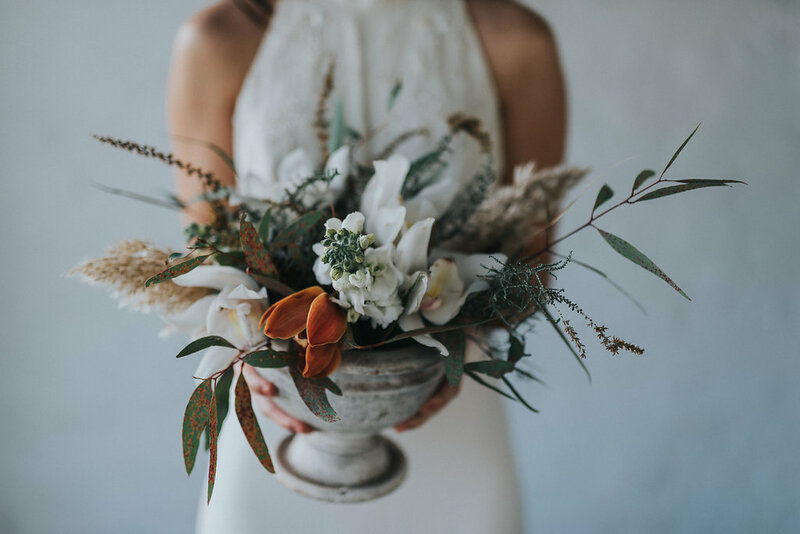 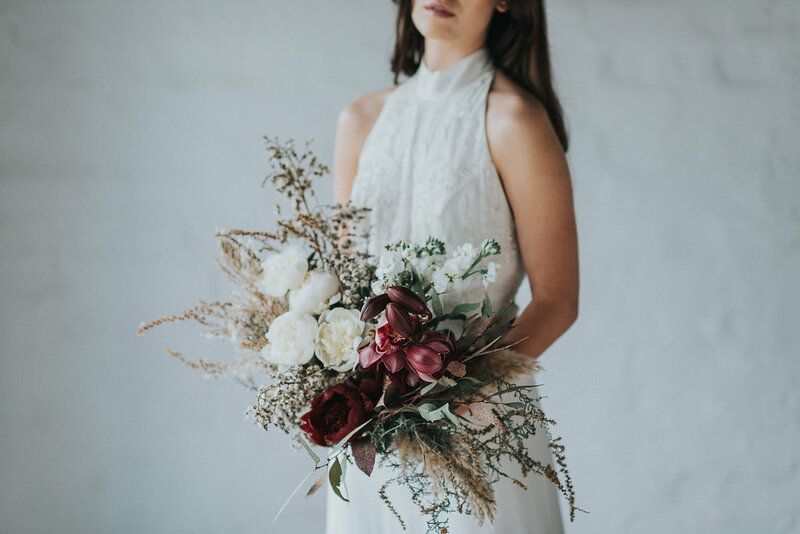 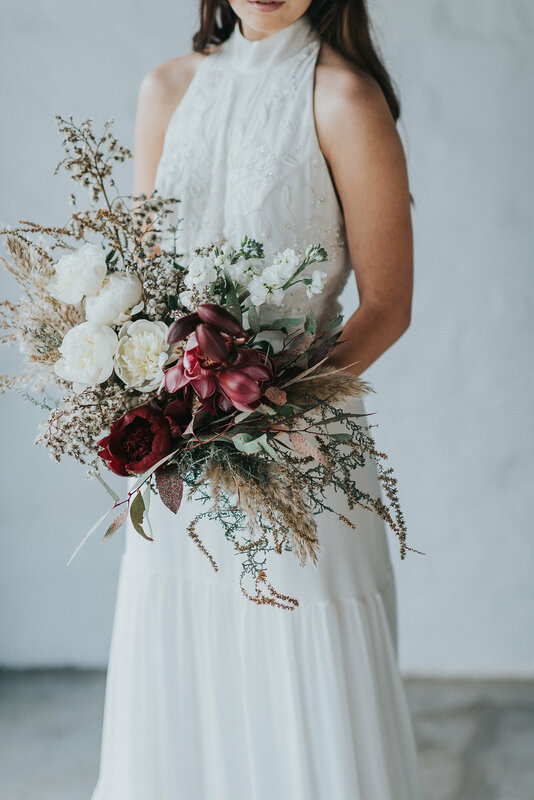 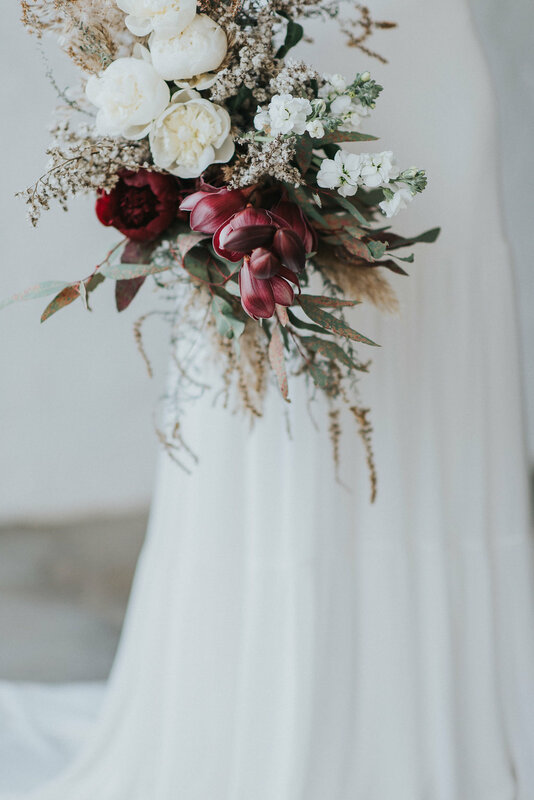 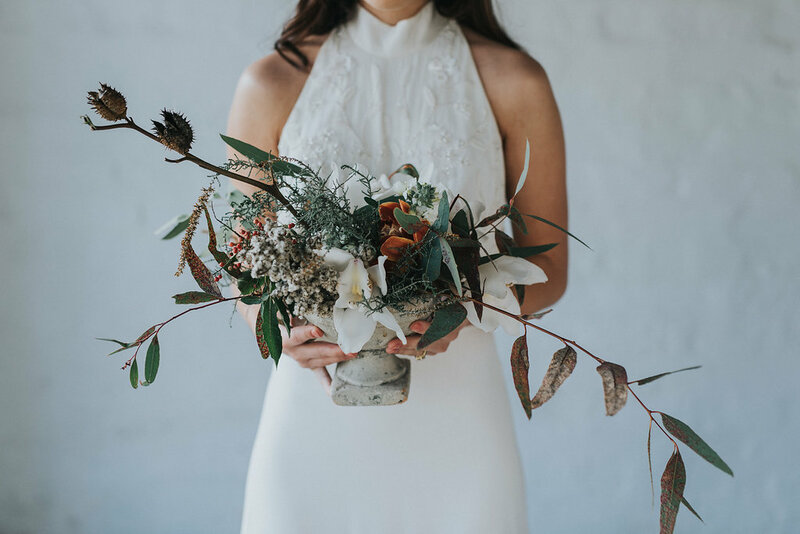 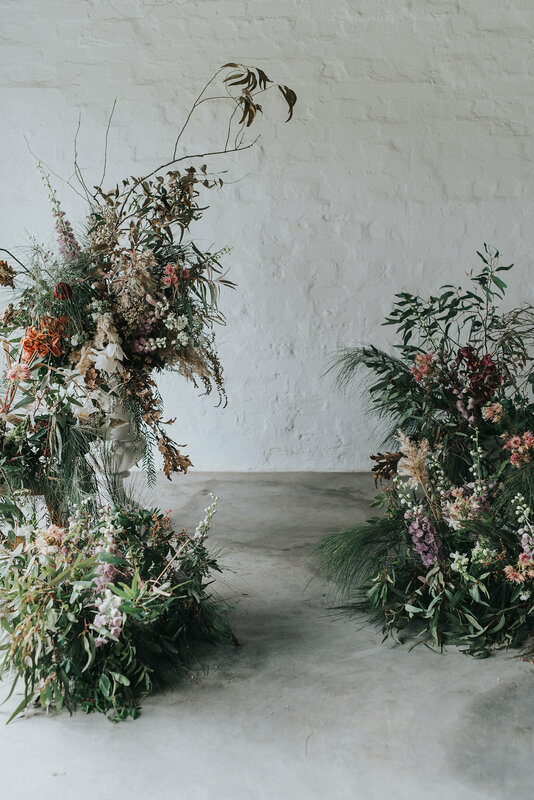 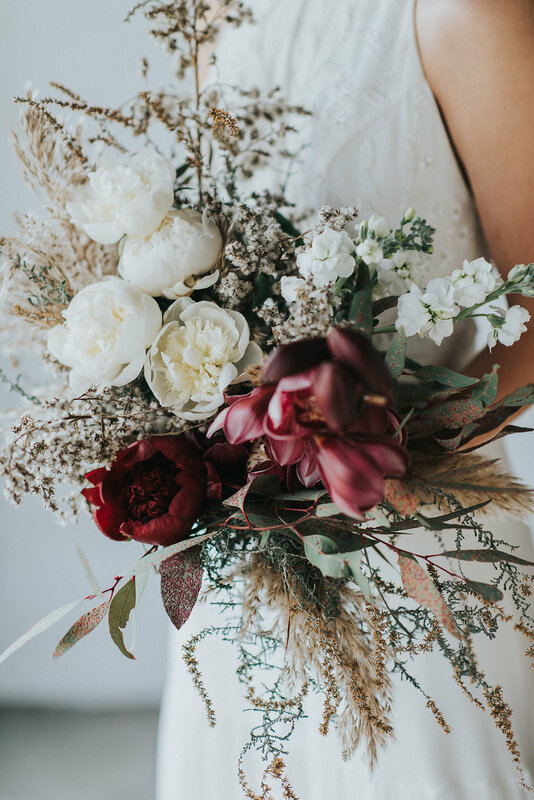 Bouquets and florals used included foraged dried grass, greenery and lush peonies, orchids and delphiniums. 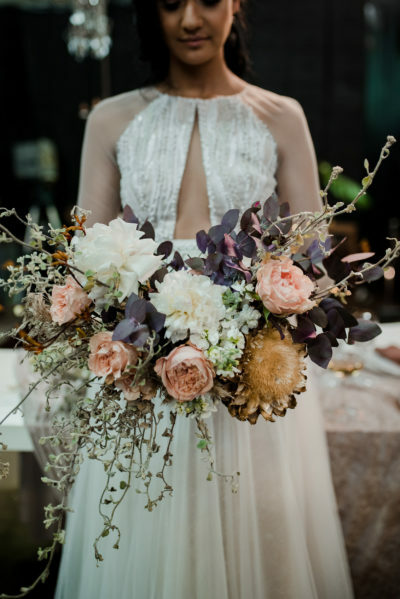 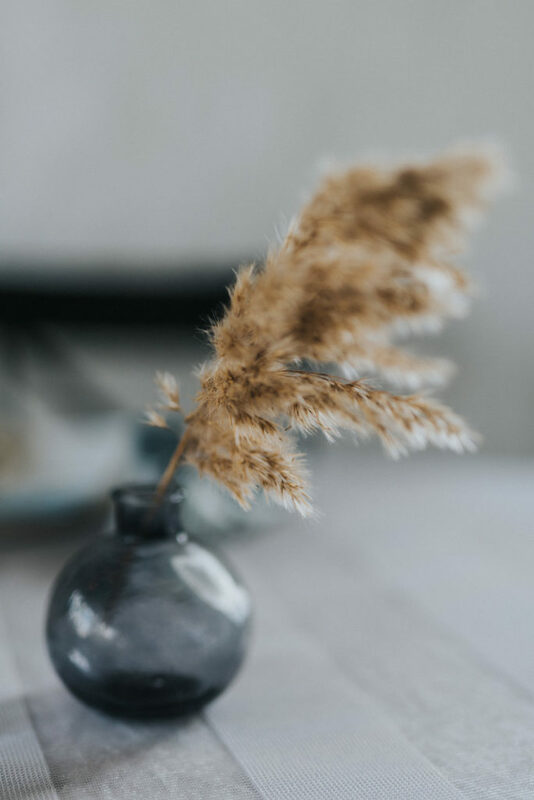 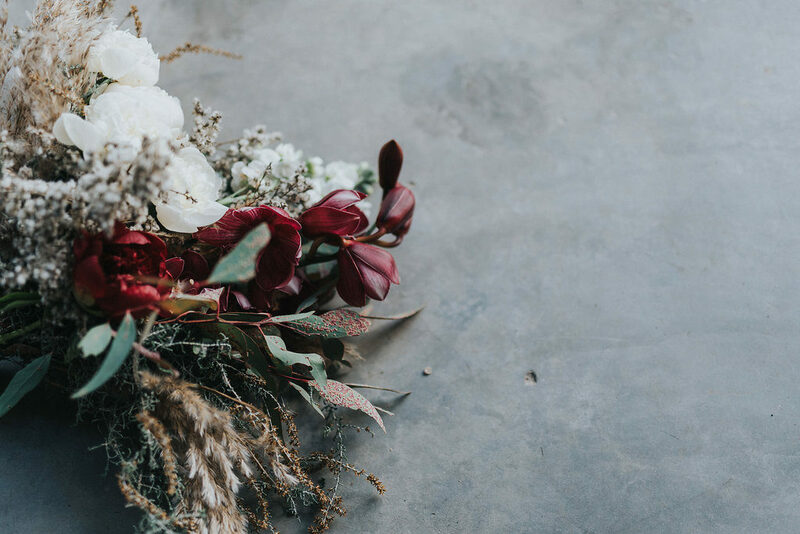 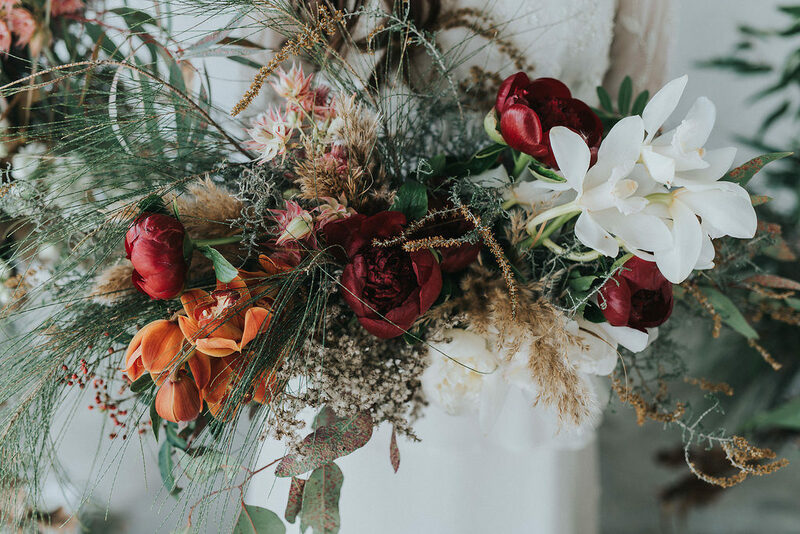 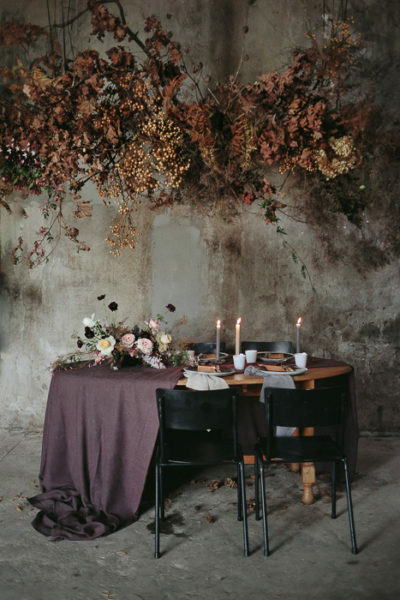 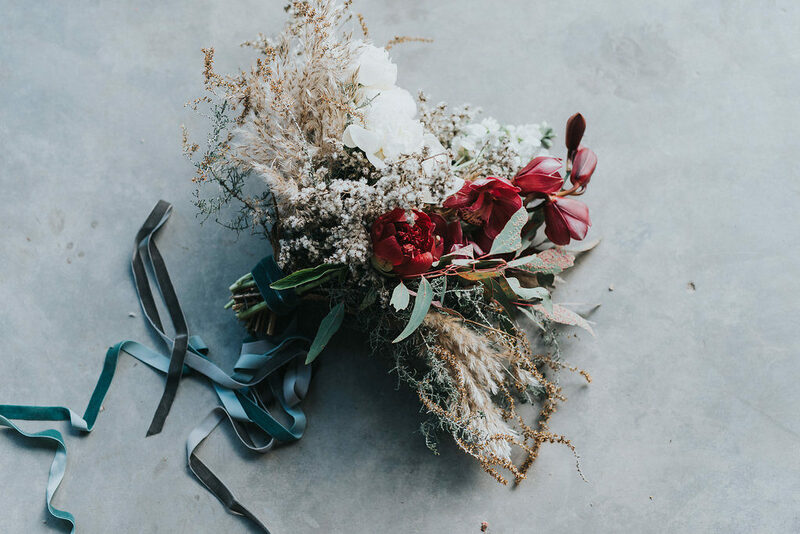 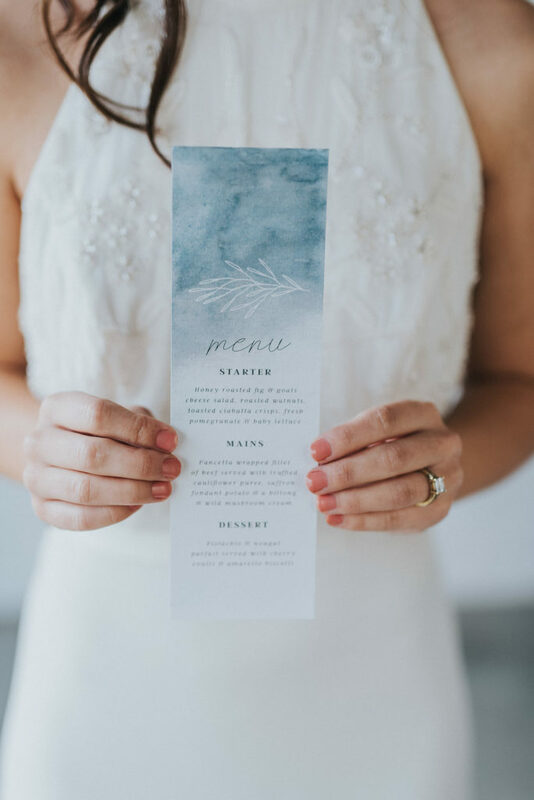 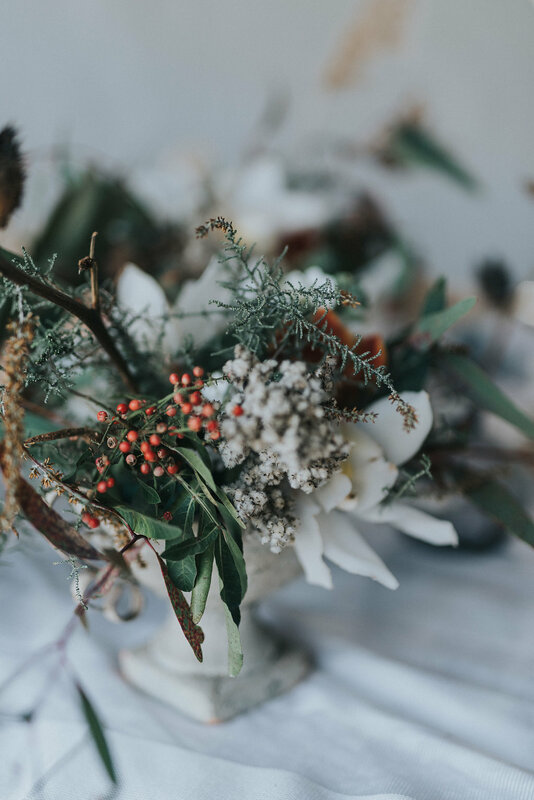 The contrast between the dried textures and the soft blooms echoed the relationship between the setting and beautiful bridal elements. 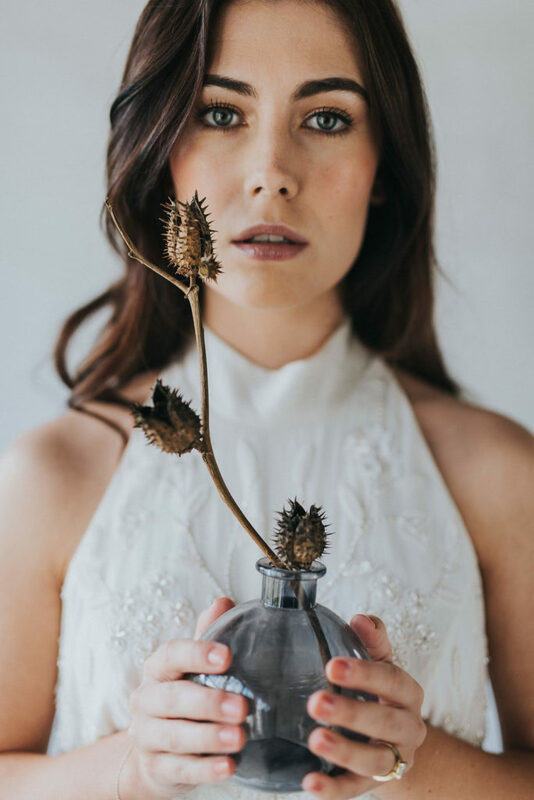 This editorial is featured on Green Wedding Shoes, have a look here!